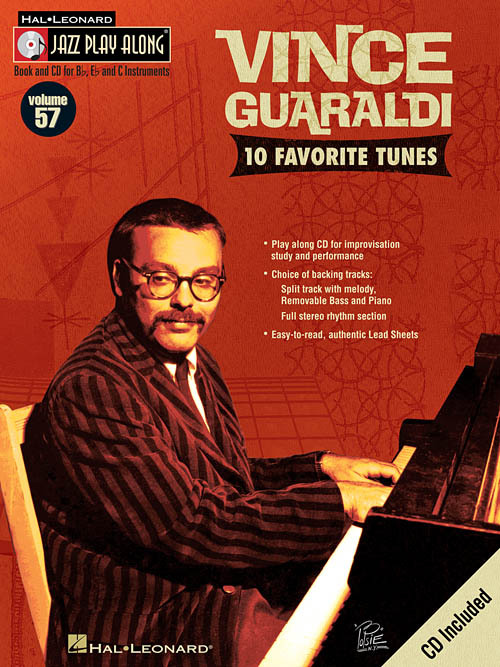 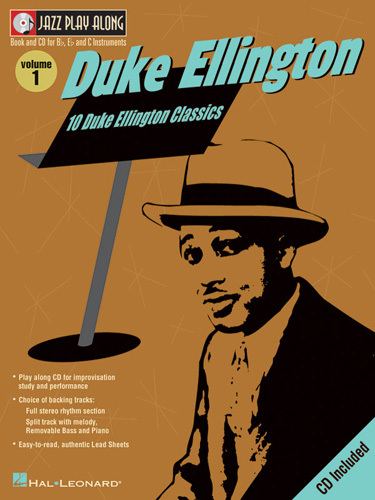 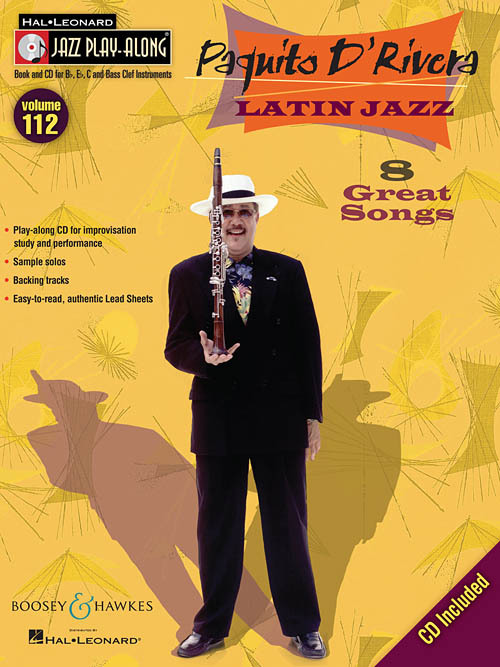 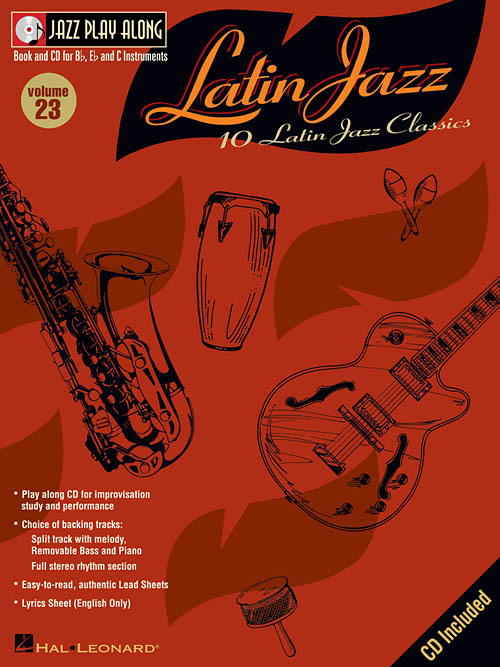 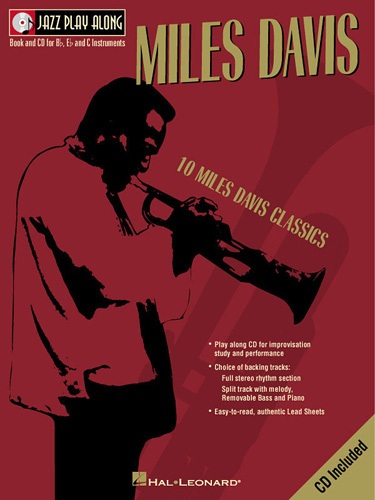 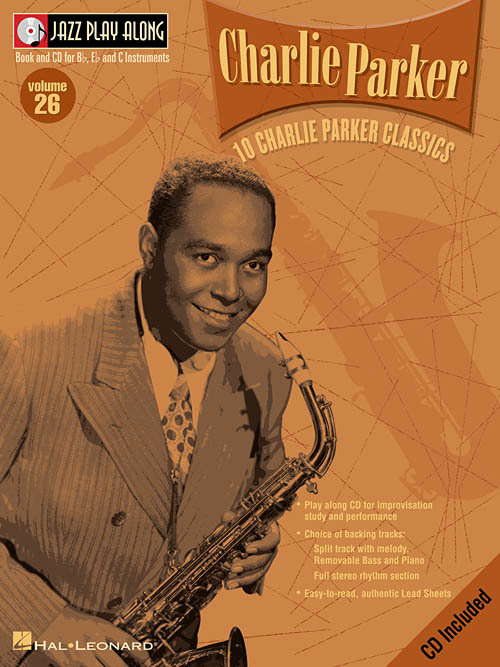 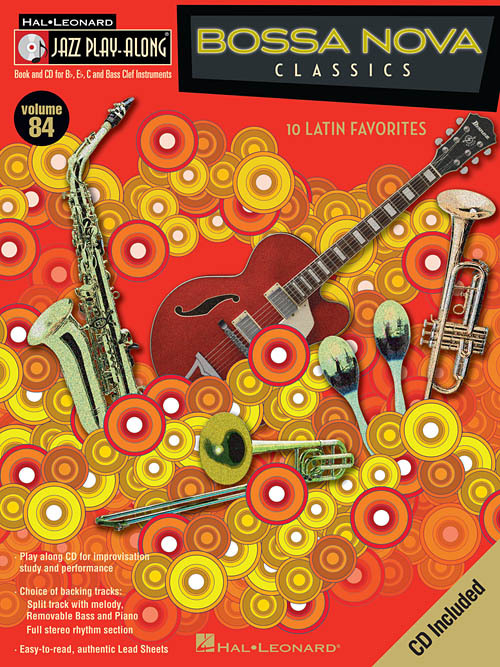 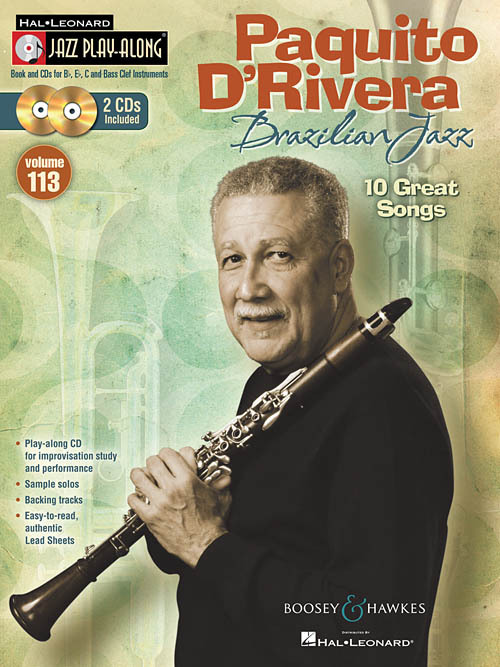 Esta série é uma excelente ferramenta de estudo para todos os músicos de Jazz. 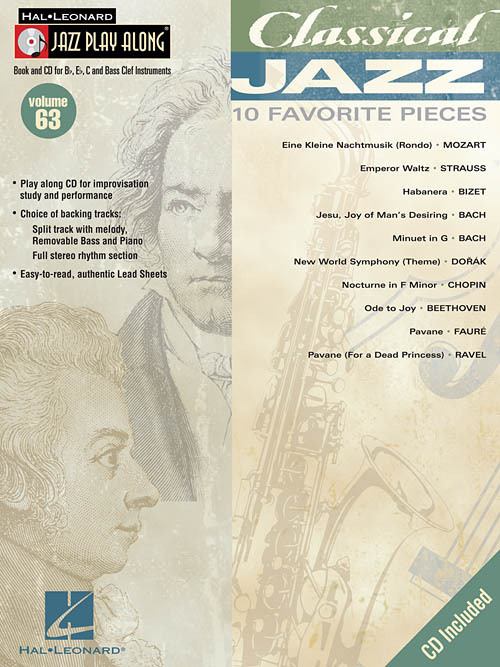 Todos os temas transcritos (melodia e acordes) para instrumentos em Bb, Eb, C e F. No CD cada tema tem duas gravações; uma faixa completa com a melodia e uma segunda faixa com o mesmo tema, porém sem a melodia, somente o play-back para que você possa tocar junto. 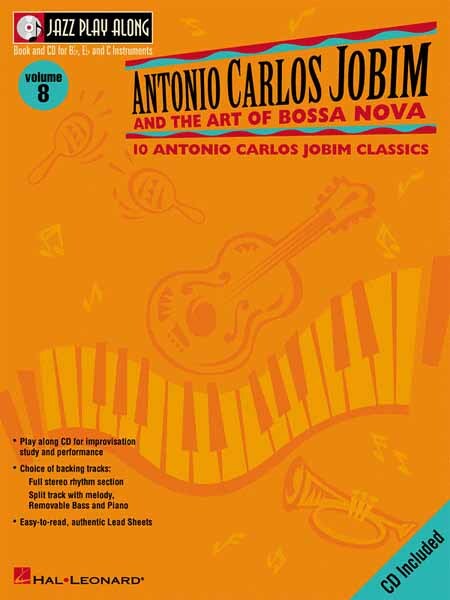 Você ainda pode eliminar o Baixo ou o Piano usando o "balanço" do seu equipamento de som. 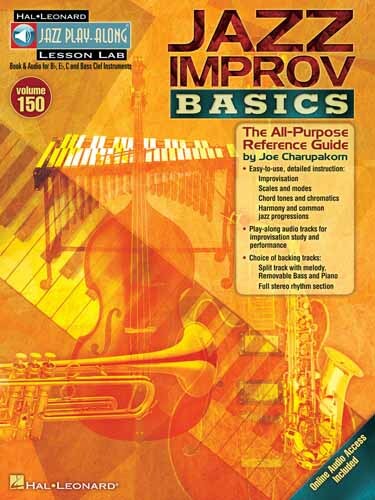 "Chorus" adicionais para improvisação. 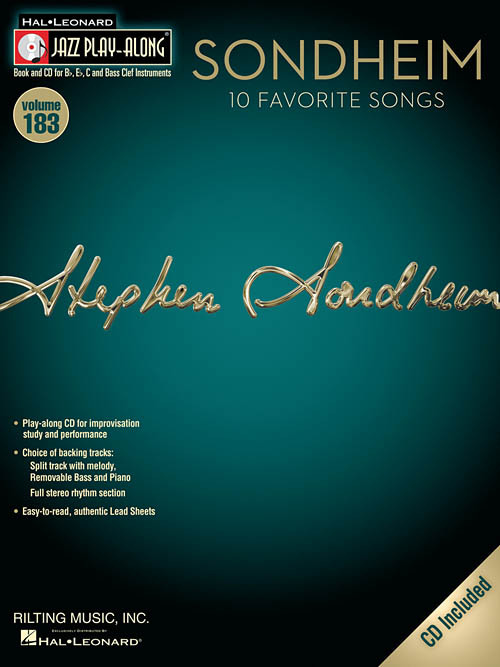 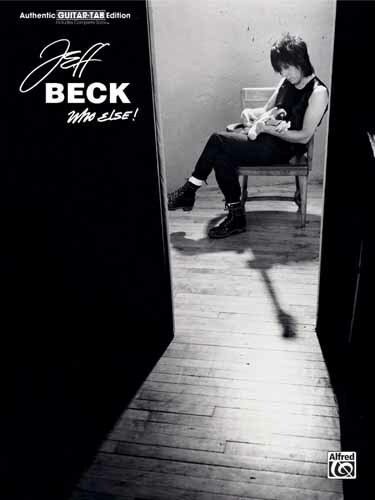 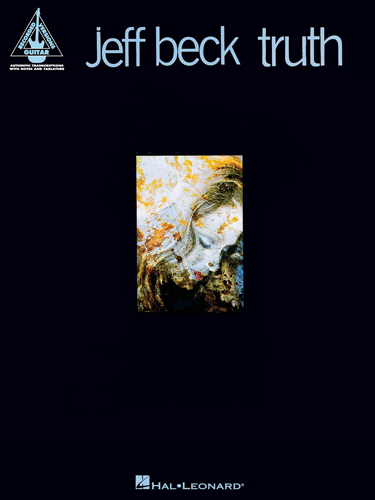 Incluindo: Blue Wind • Cause We've Ended as Lovers • Constipated Duck • Freeway Jam • Goodbye Pork Pie Hat • Led Boots • Scatterbrain • She's a Woman • Sophie • You Know What I Mean. 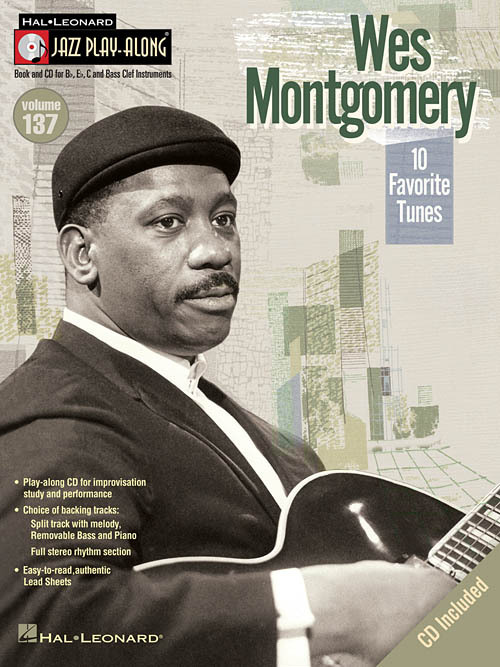 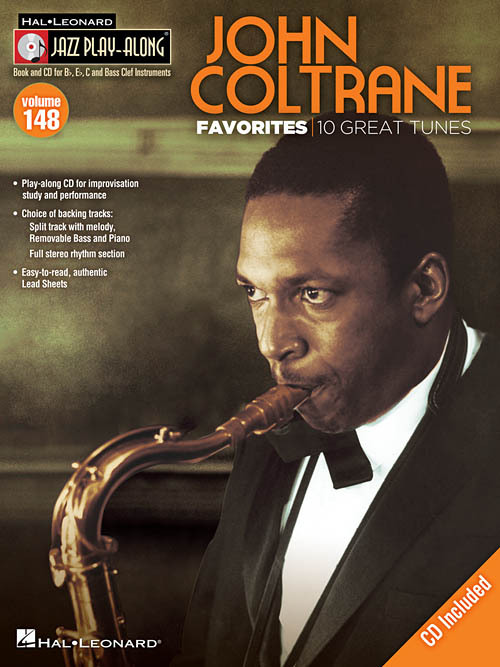 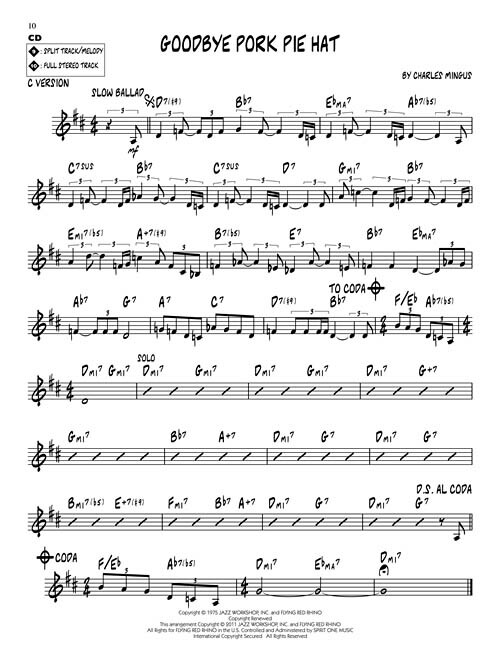 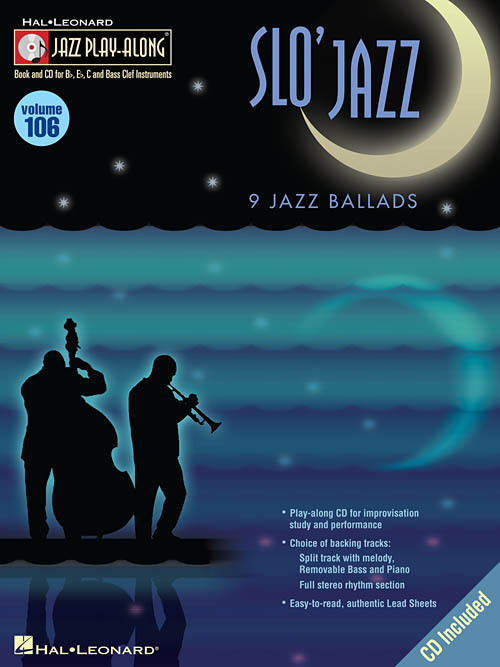 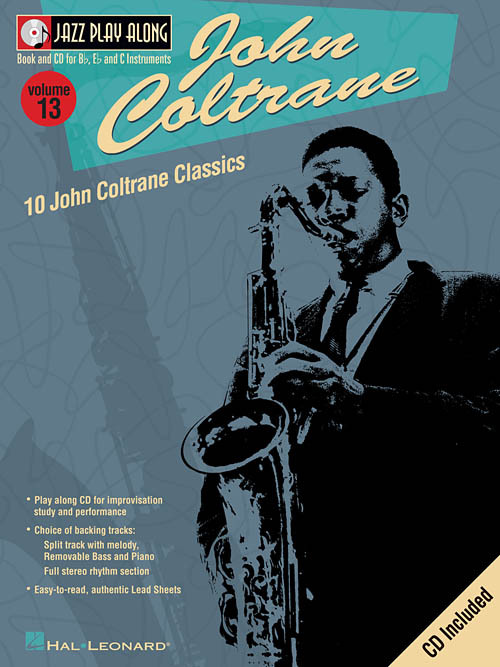 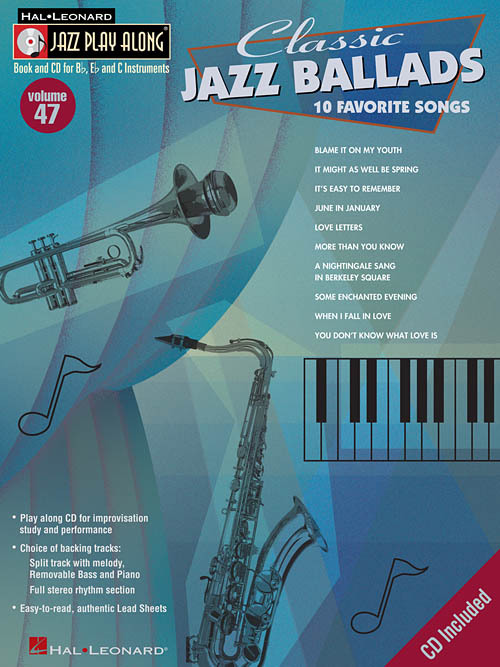 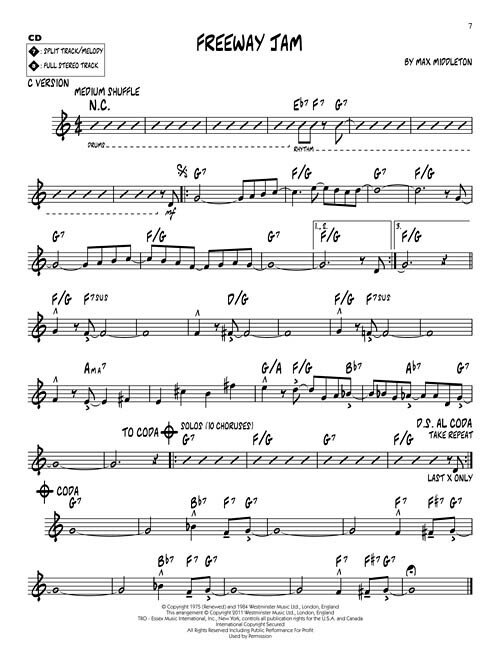 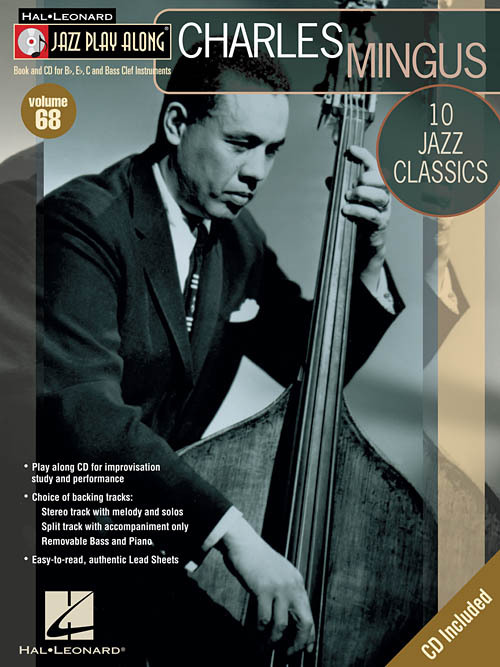 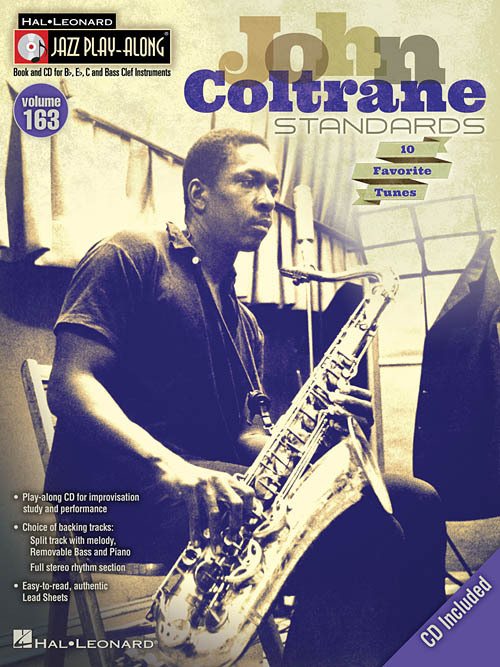 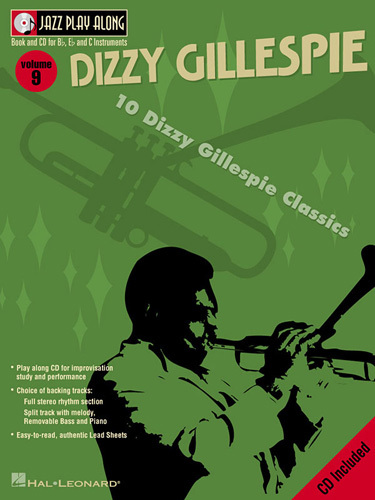 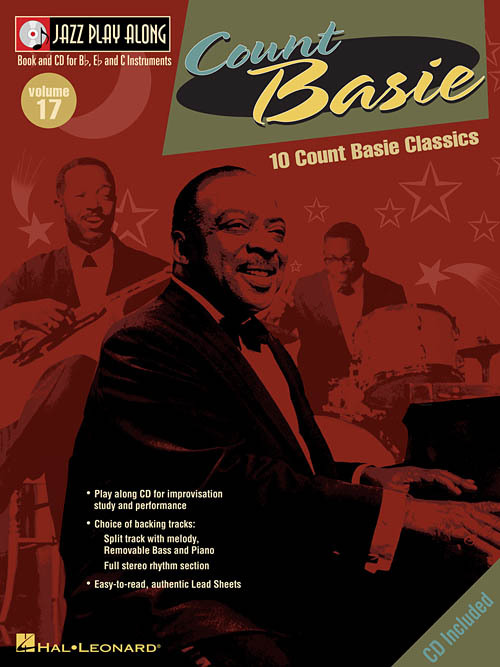 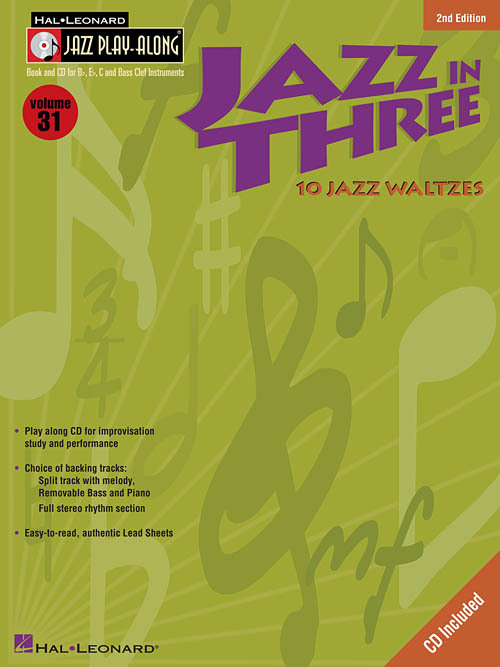 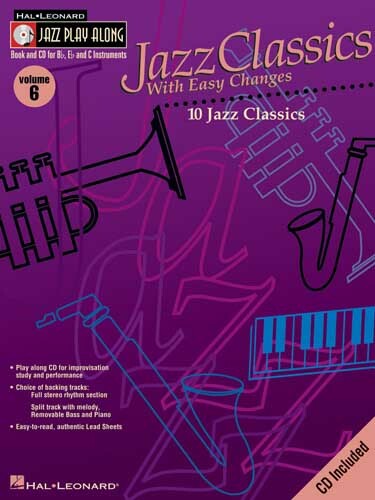 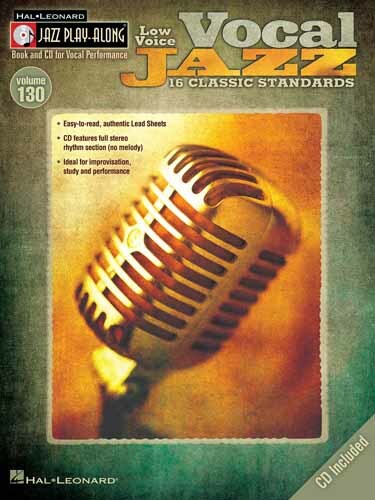 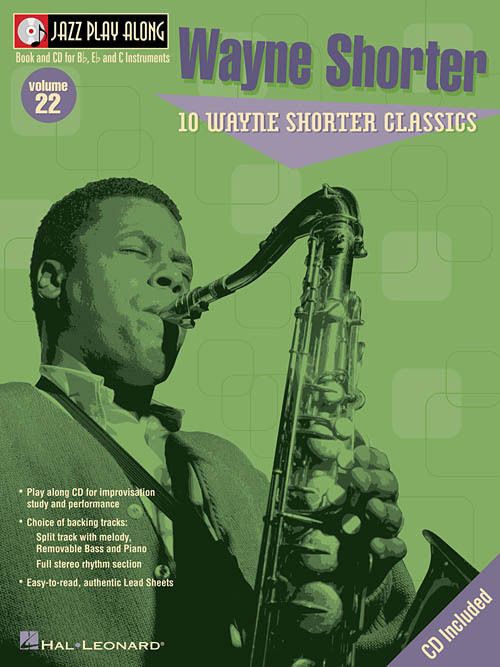 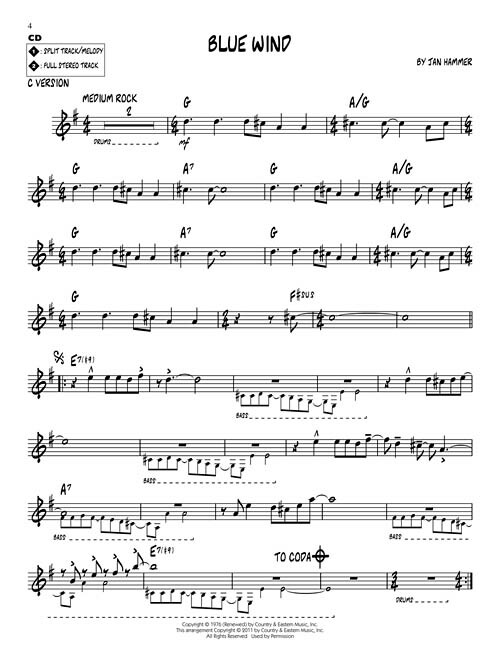 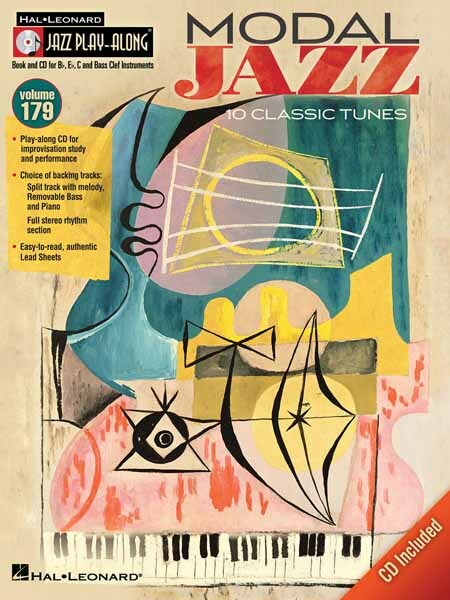 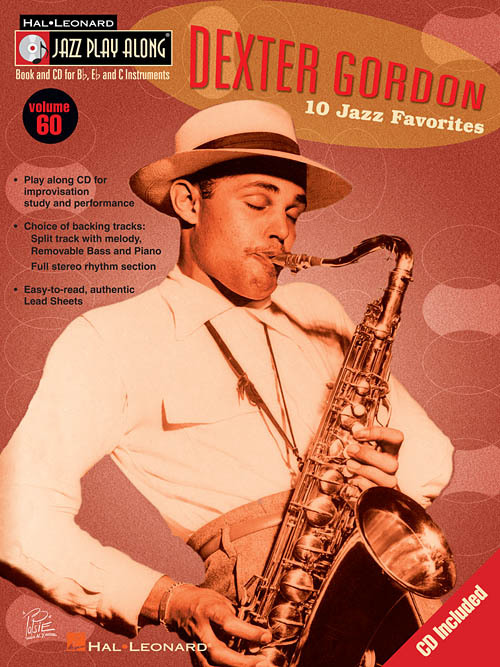 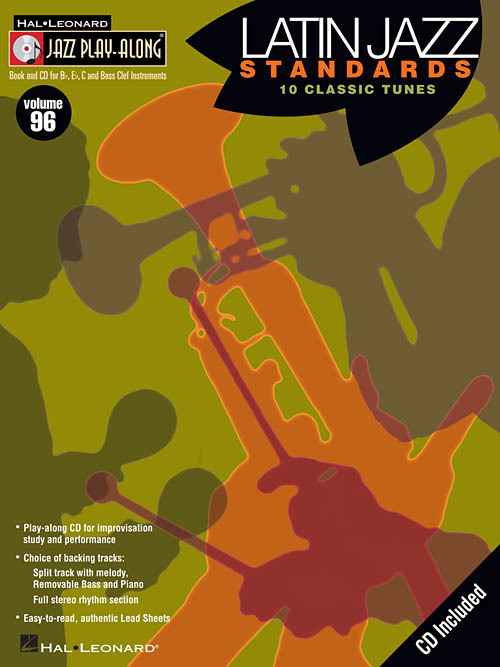 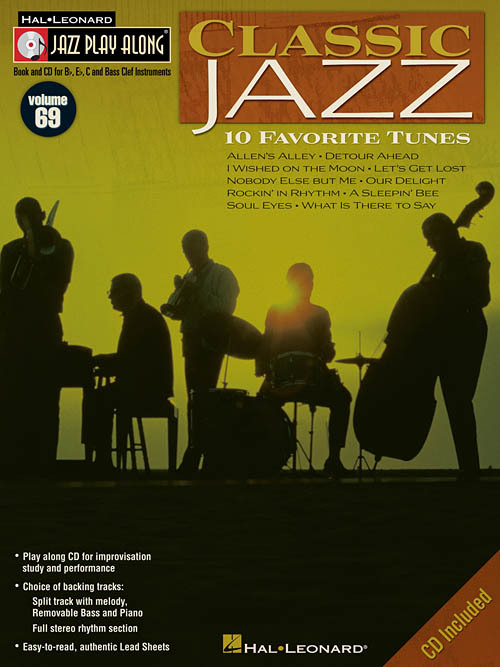 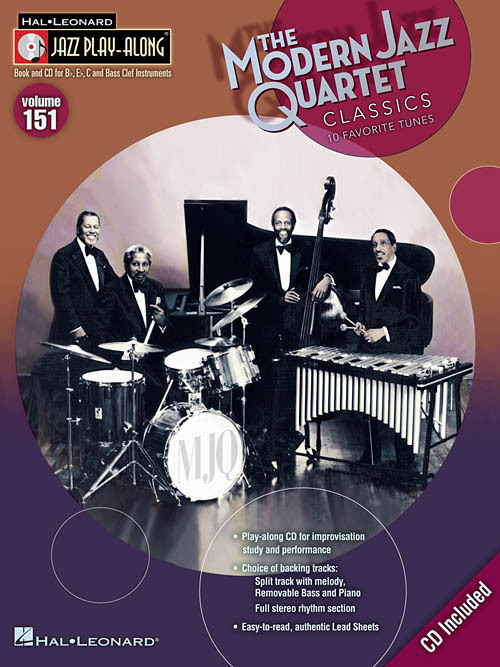 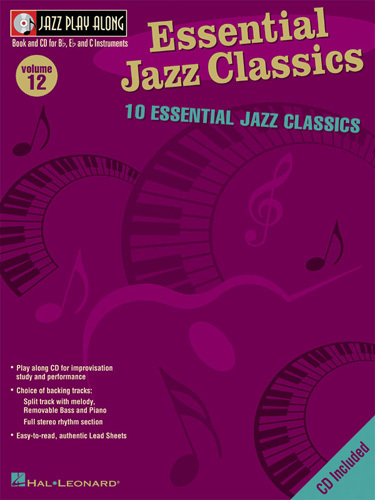 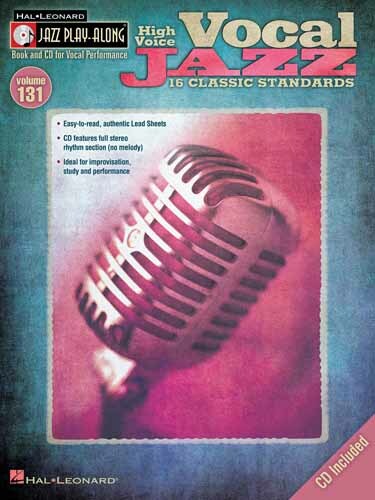 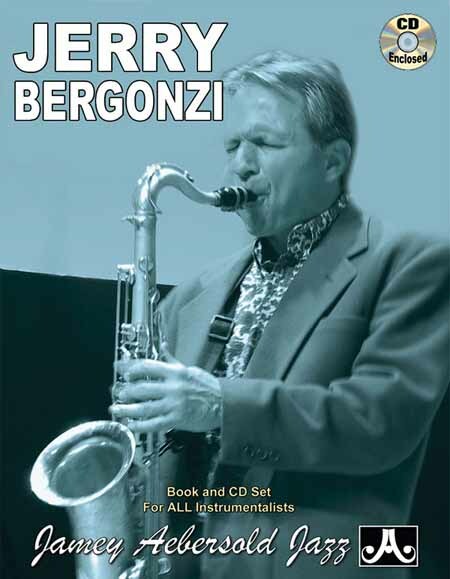 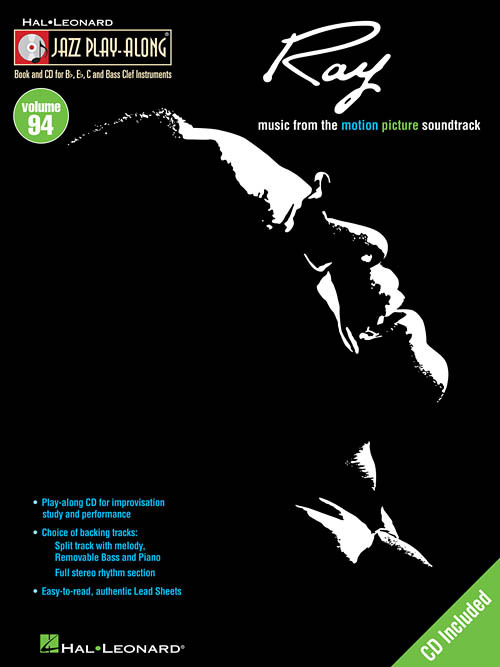 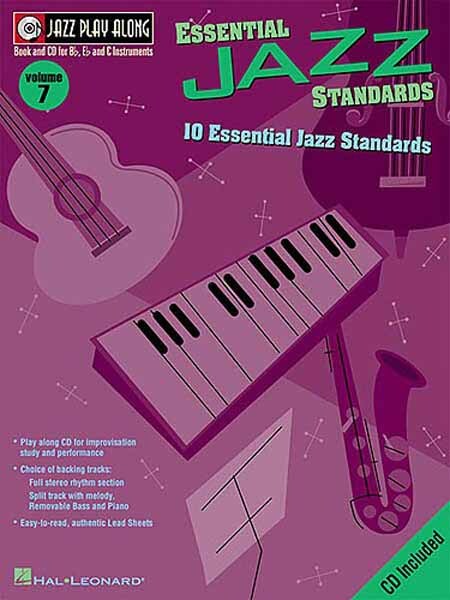 For use with all B-flat, E-flat, Bass Clef and C instruments, the Jazz Play-Along series is the ultimate learning tool for all jazz musicians. 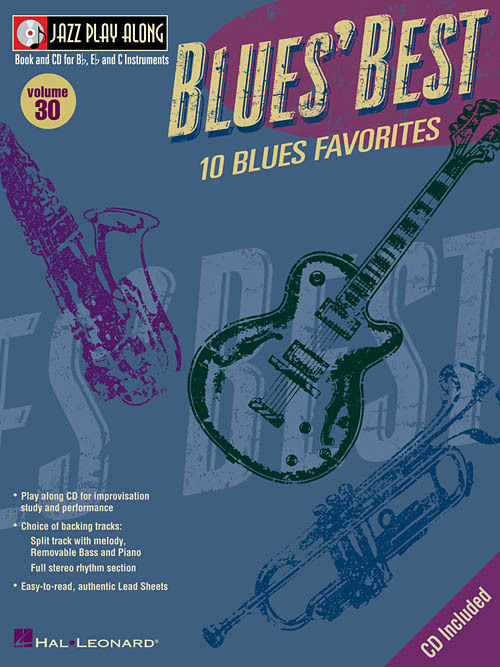 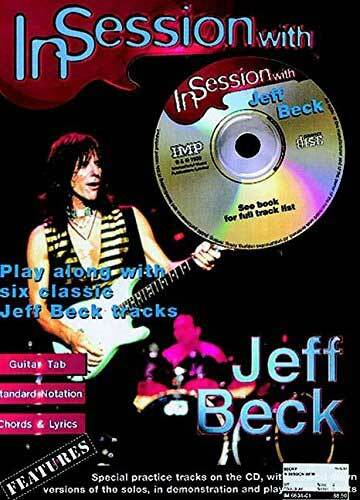 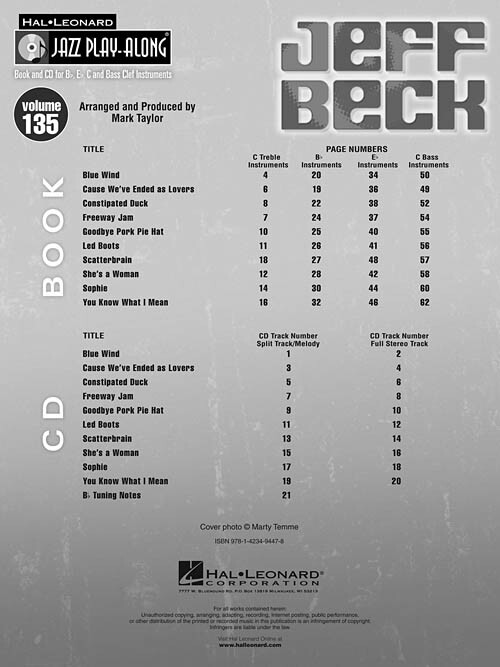 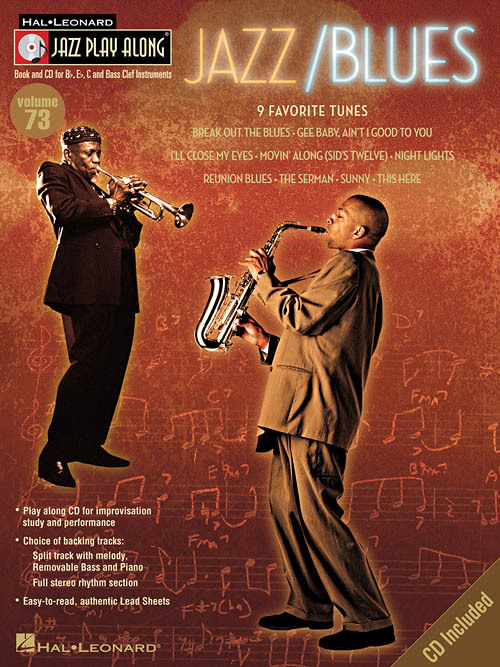 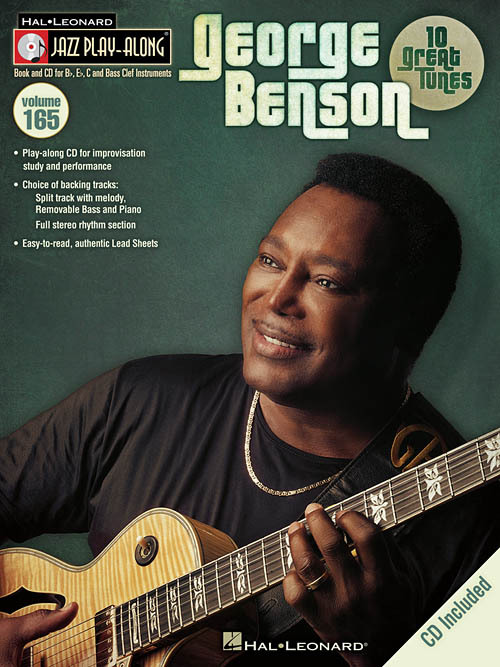 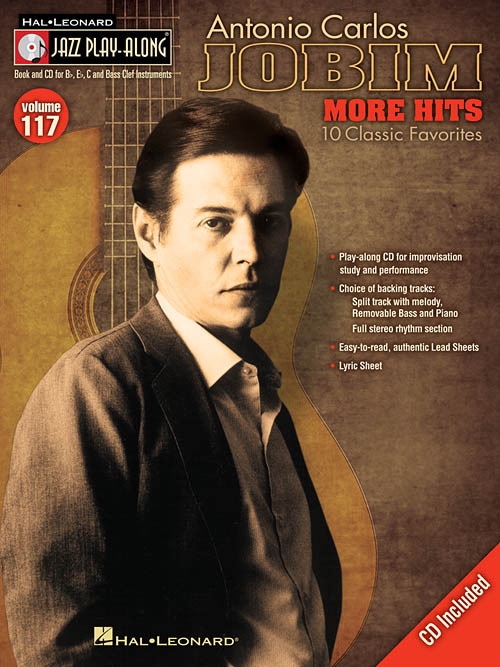 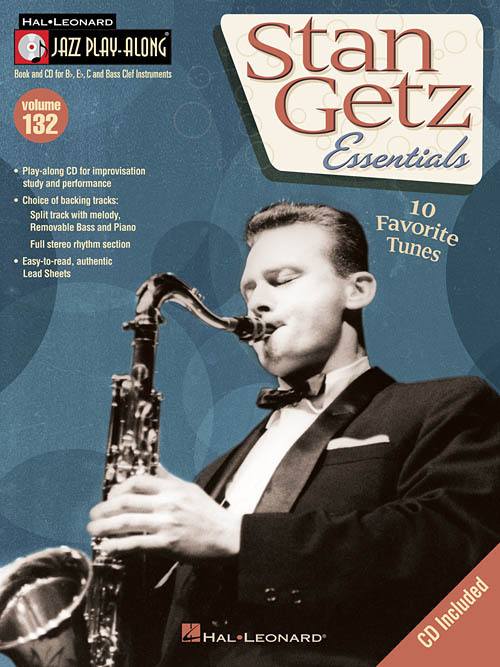 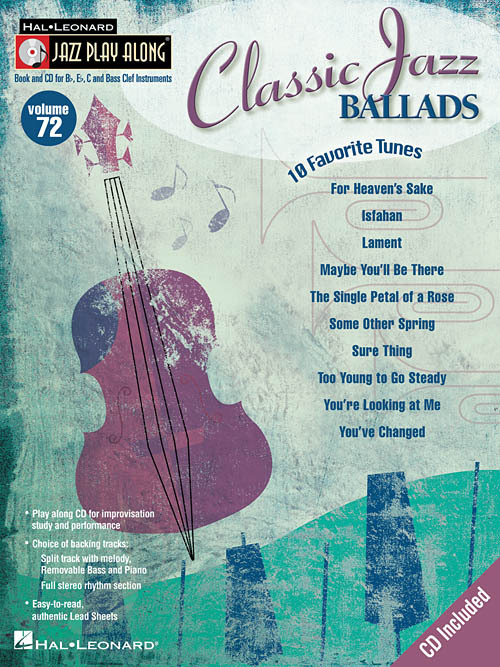 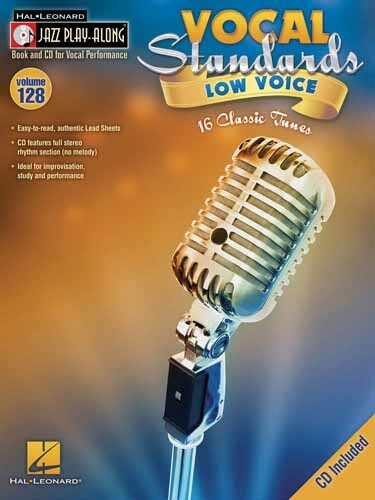 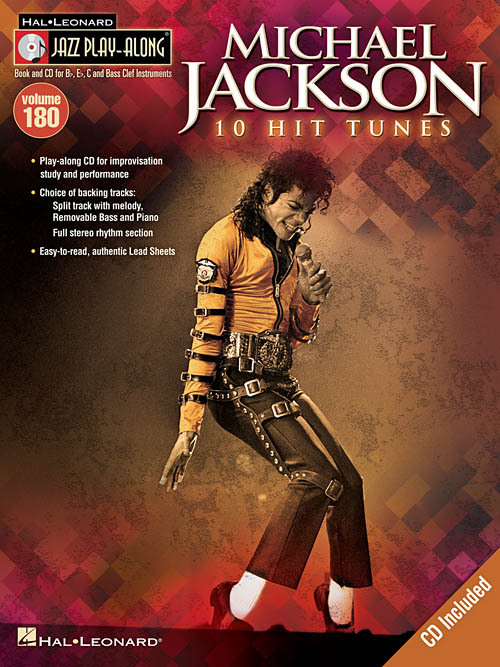 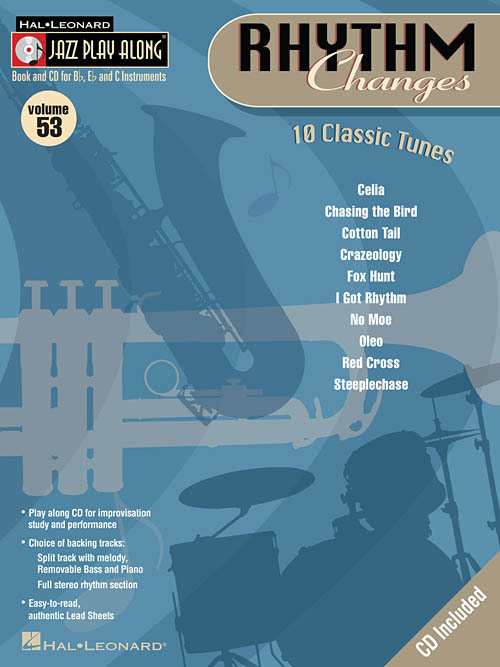 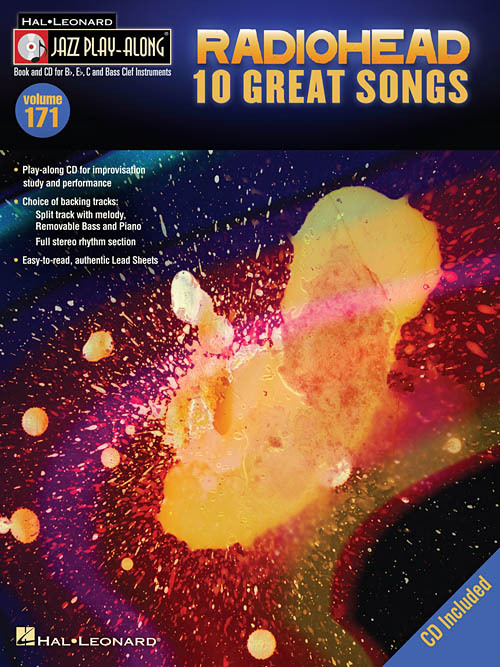 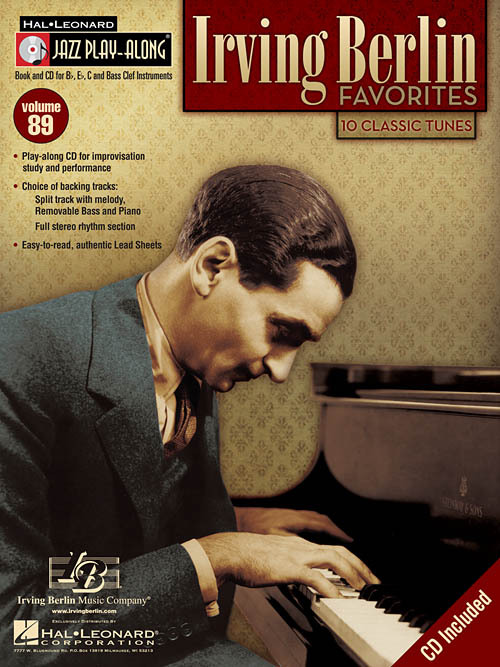 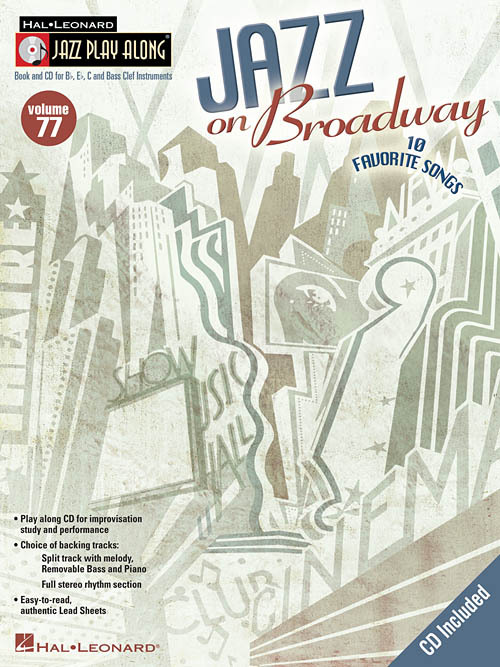 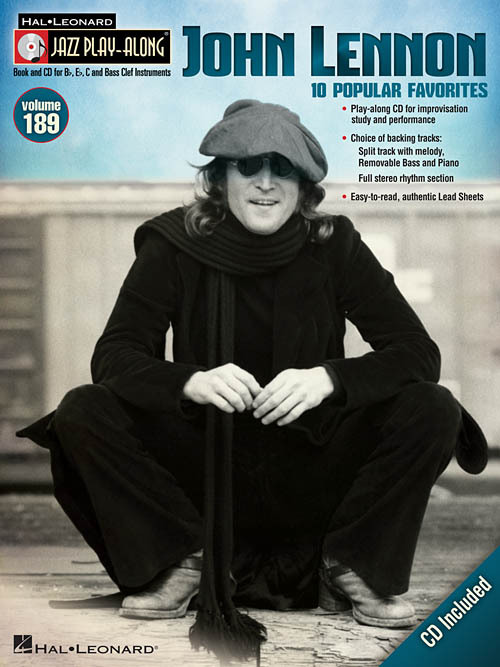 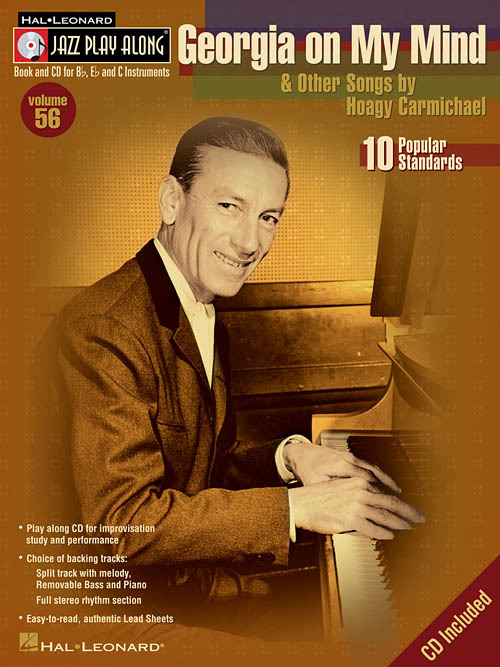 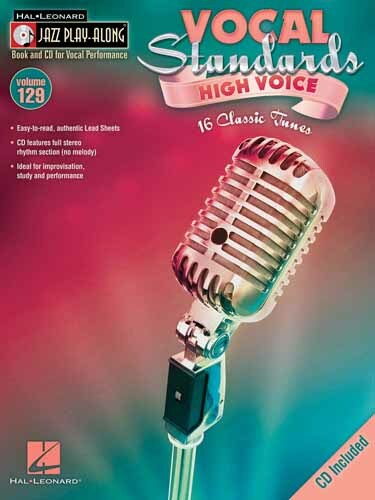 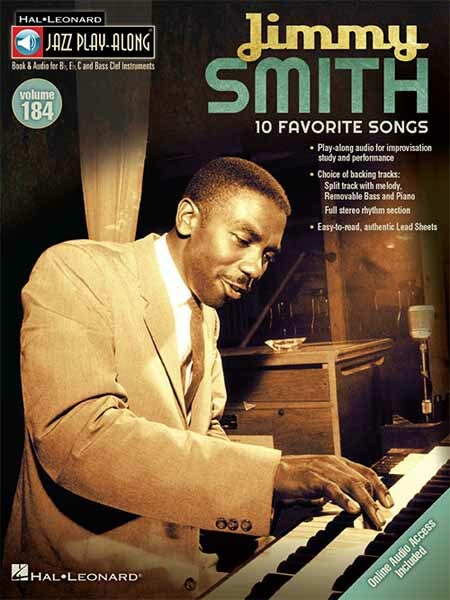 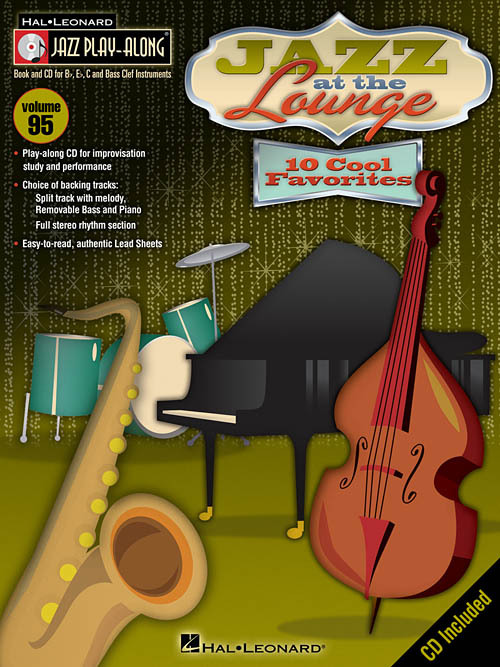 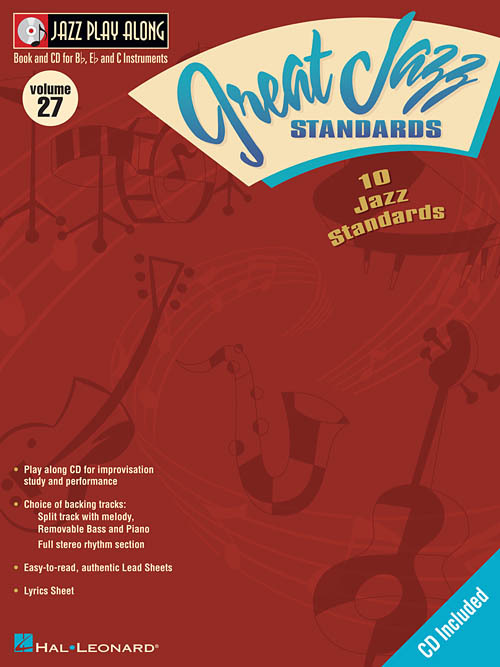 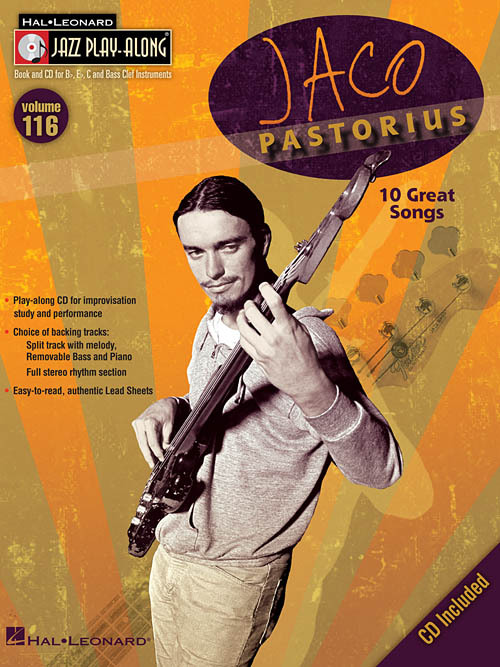 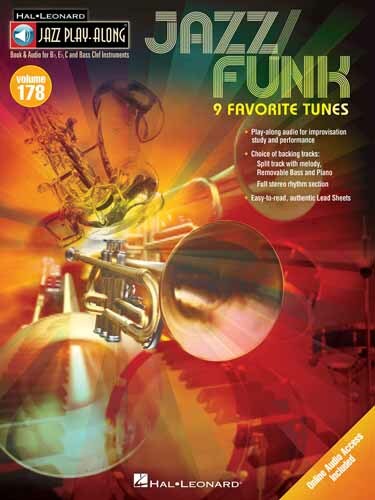 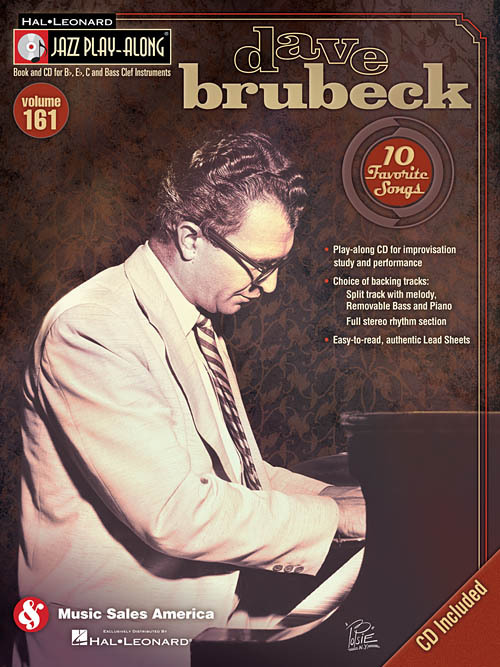 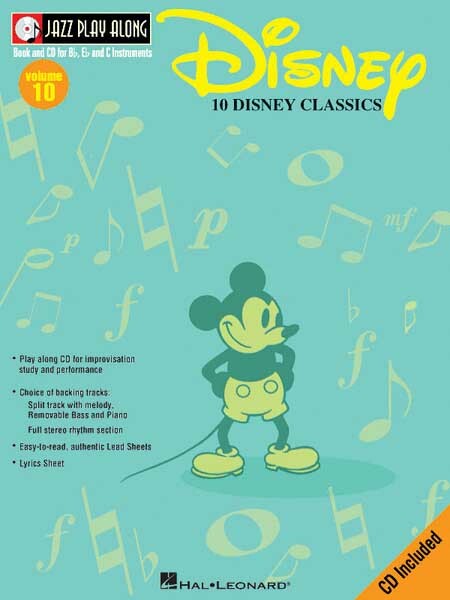 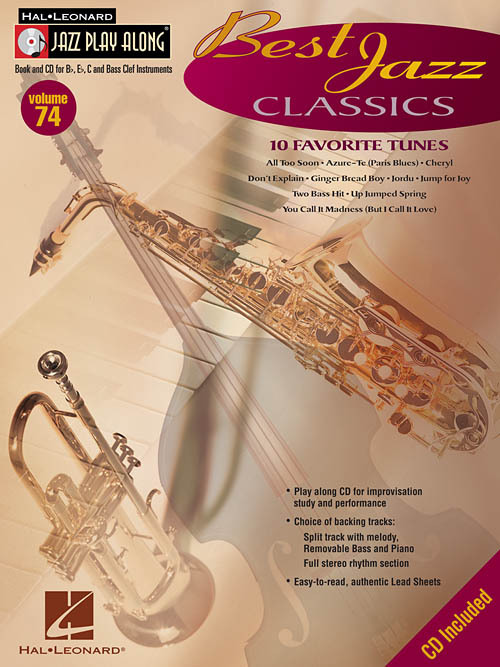 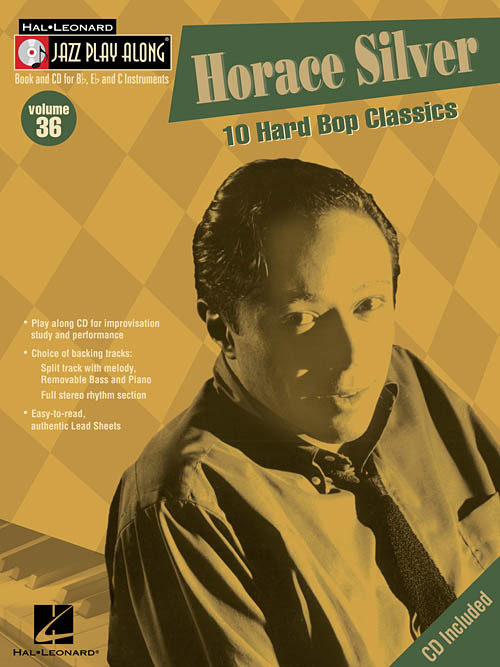 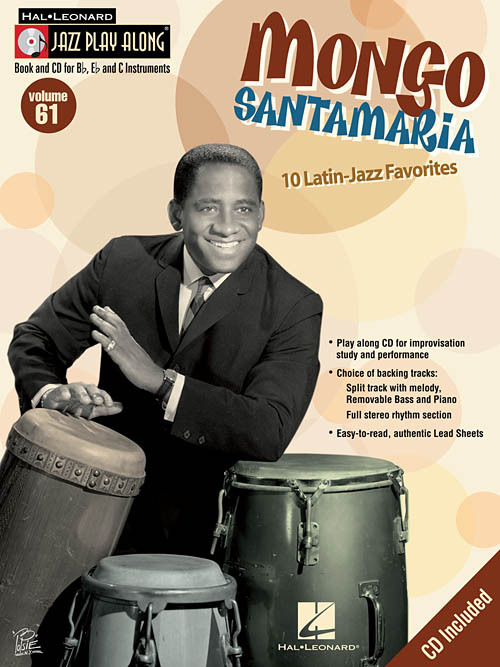 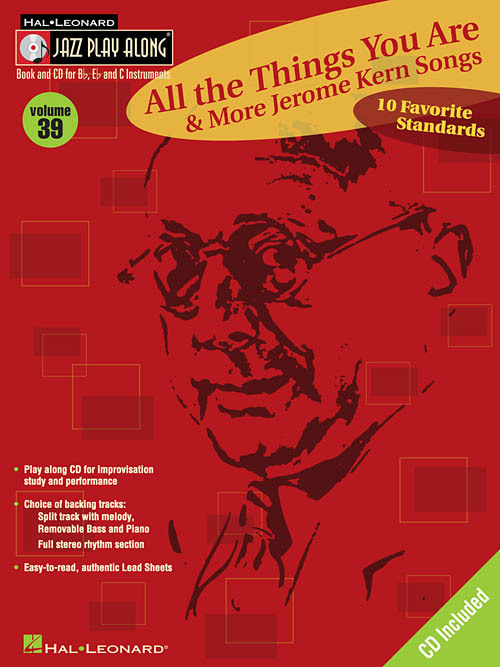 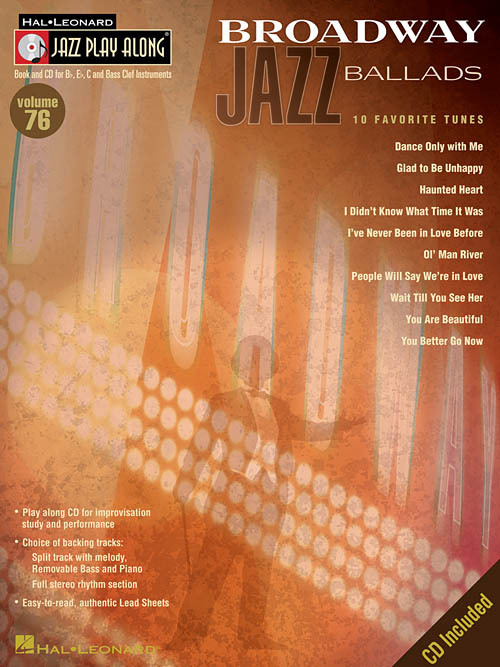 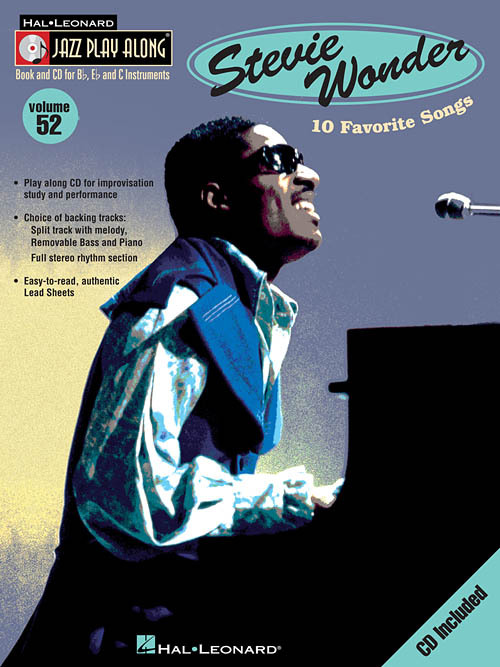 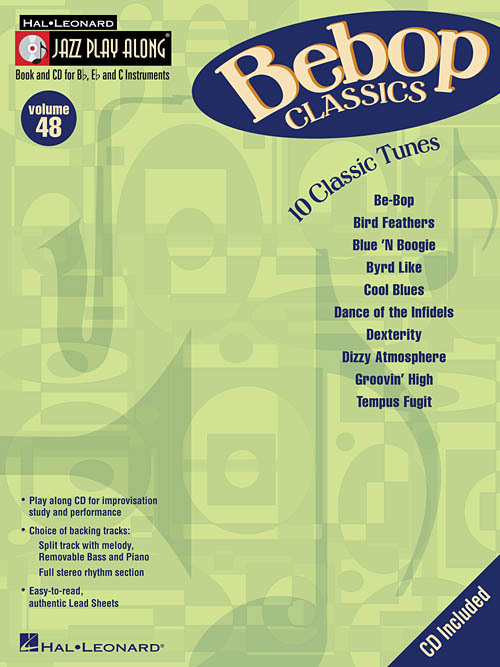 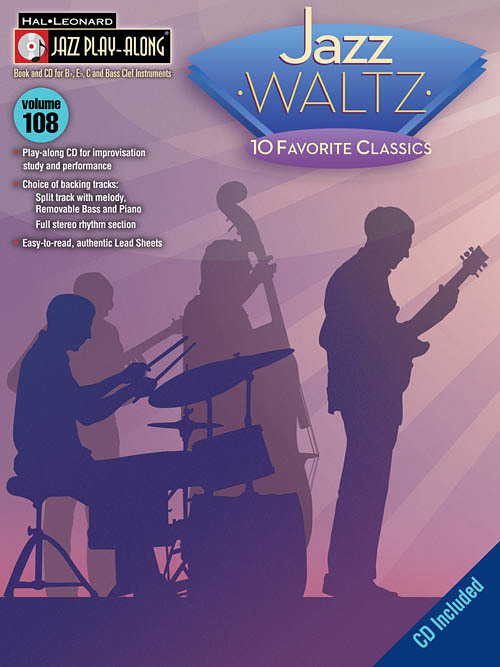 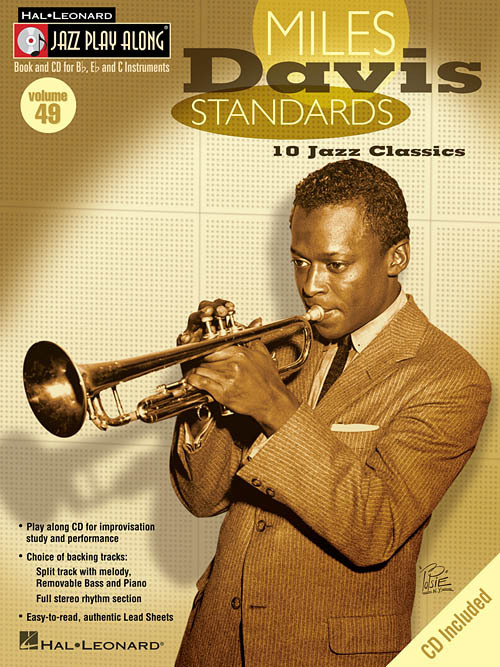 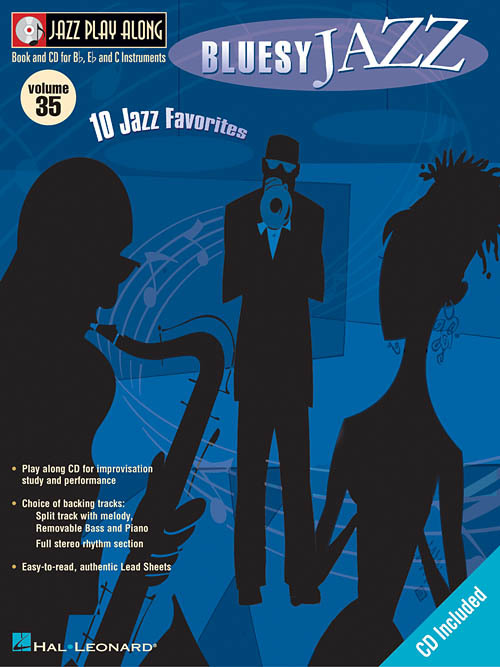 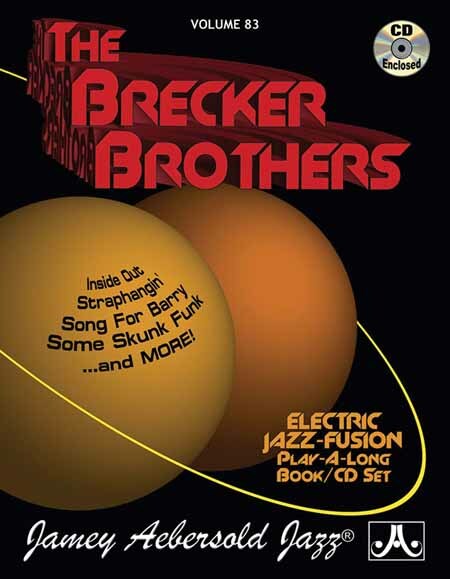 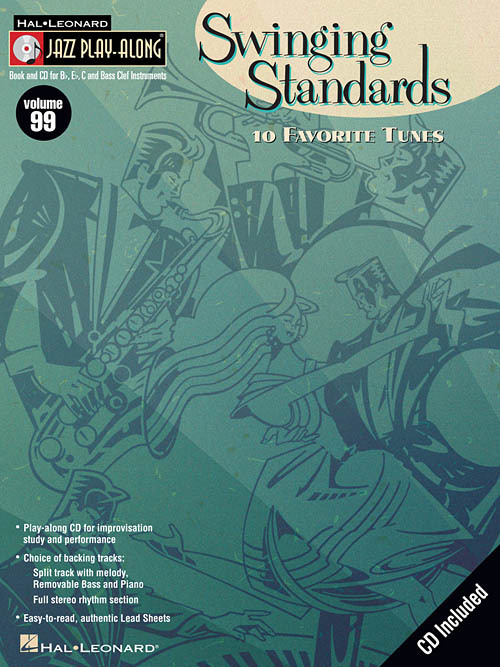 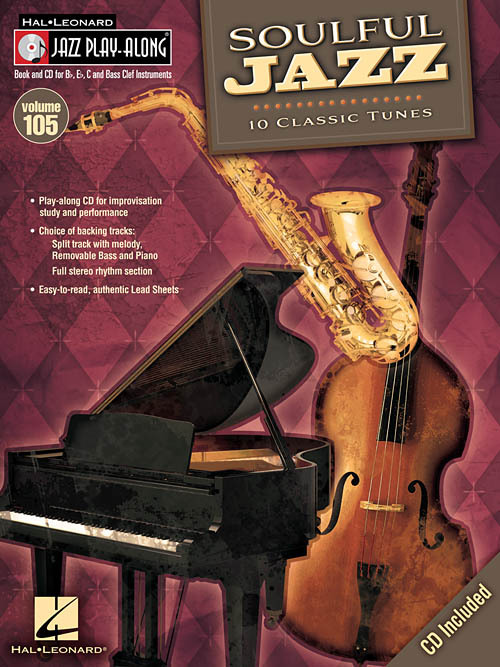 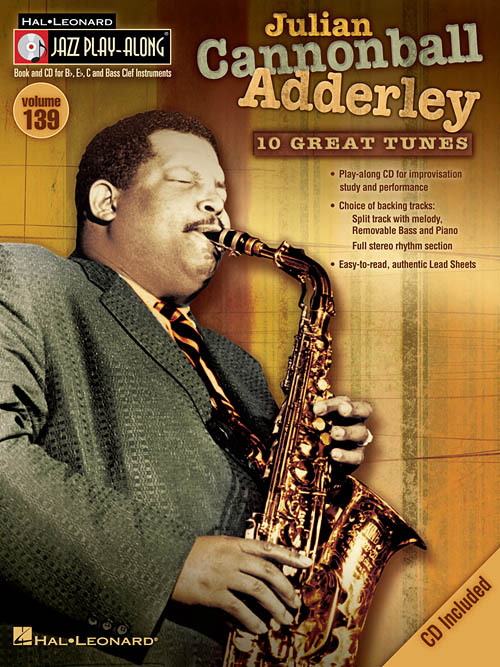 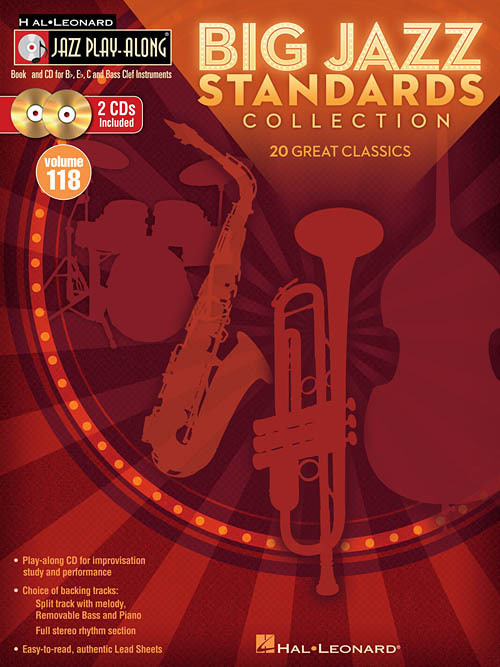 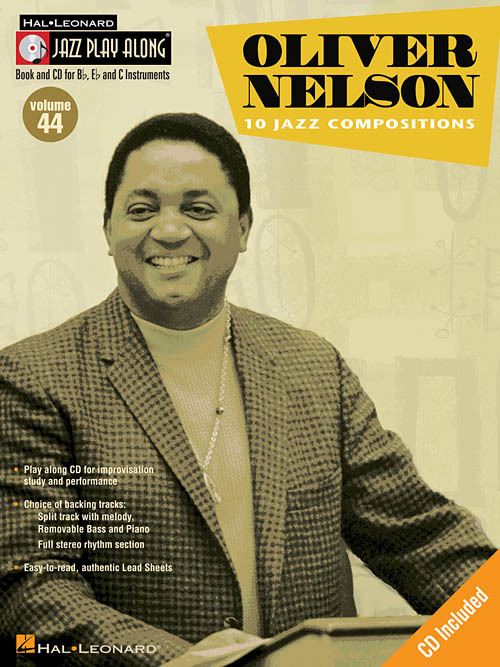 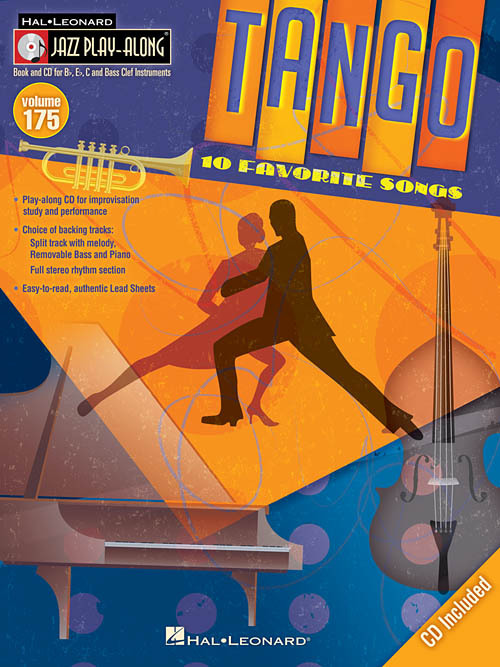 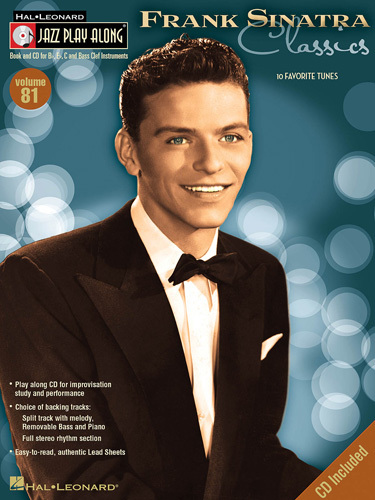 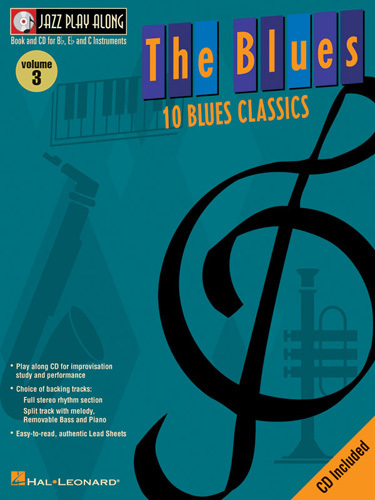 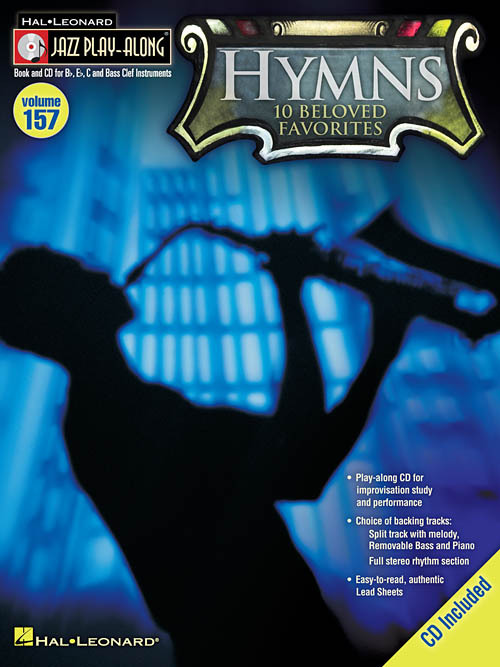 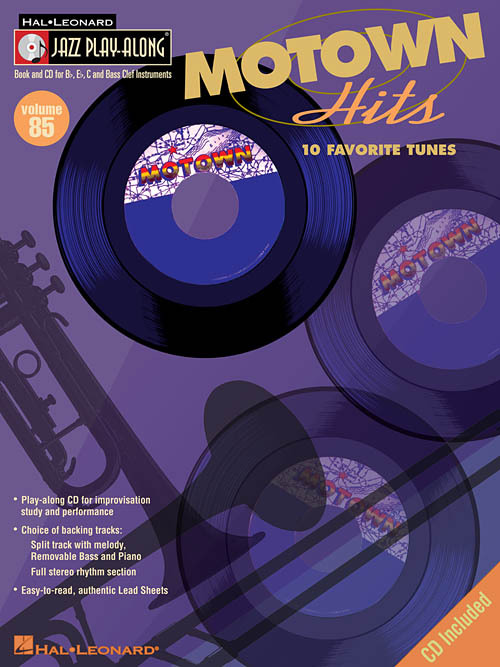 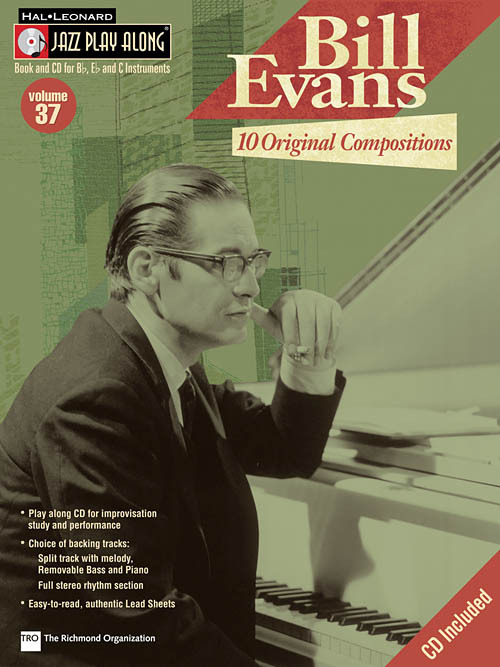 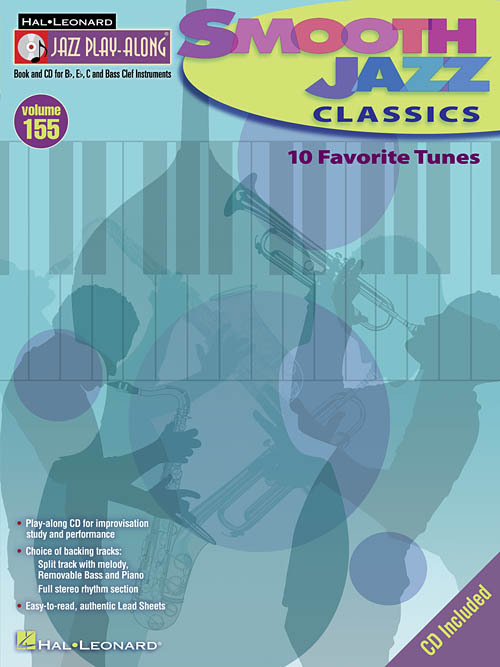 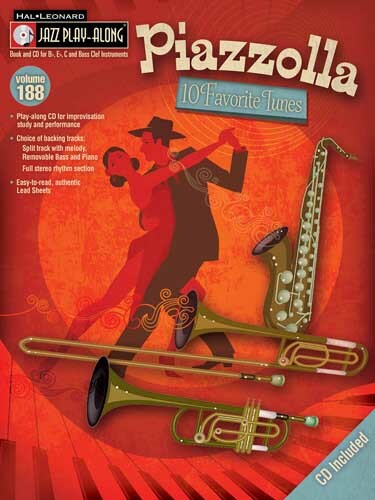 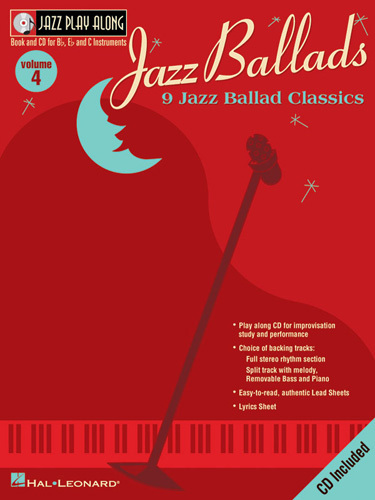 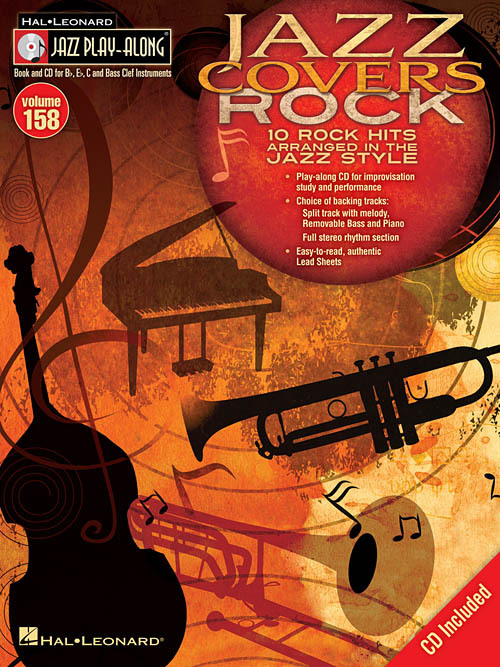 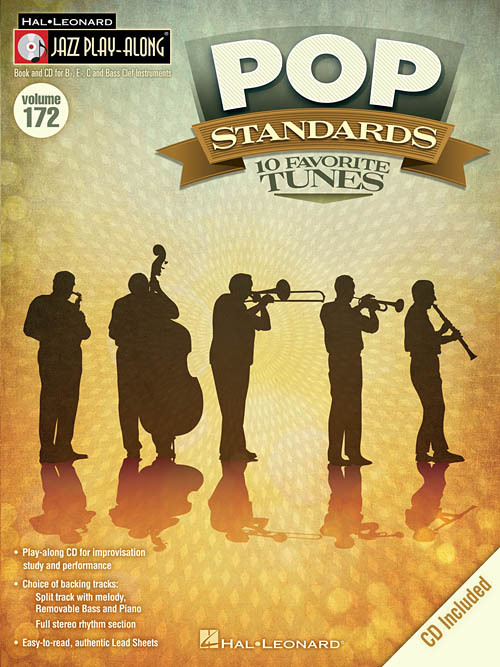 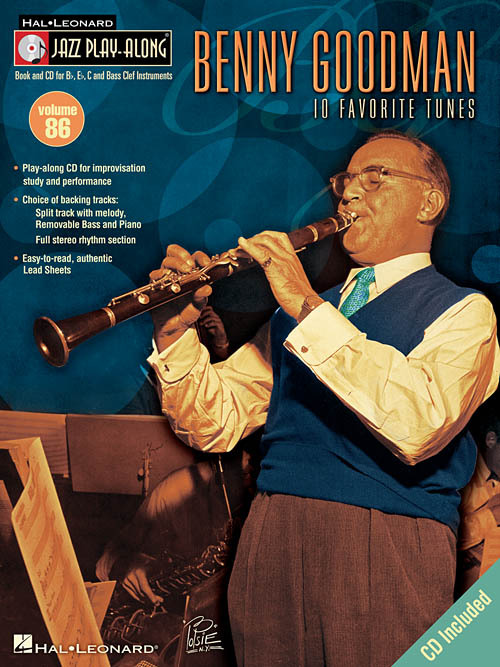 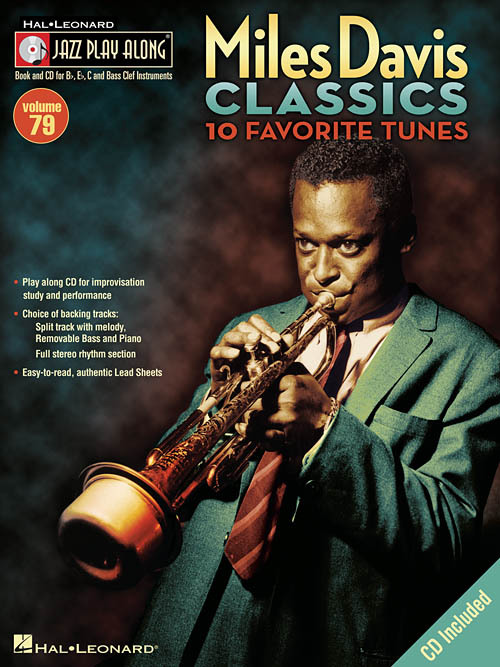 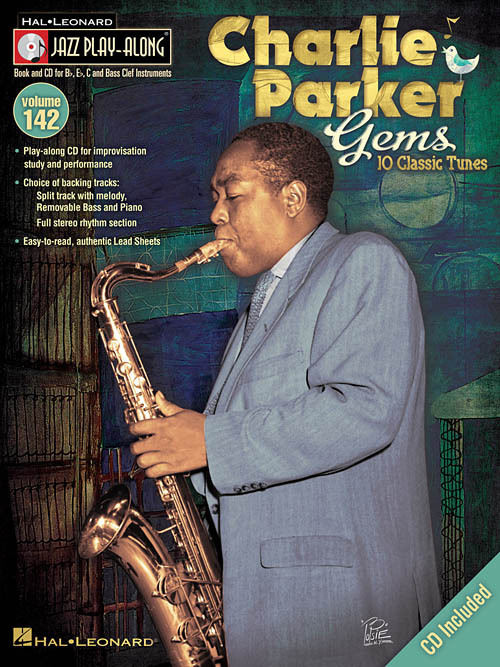 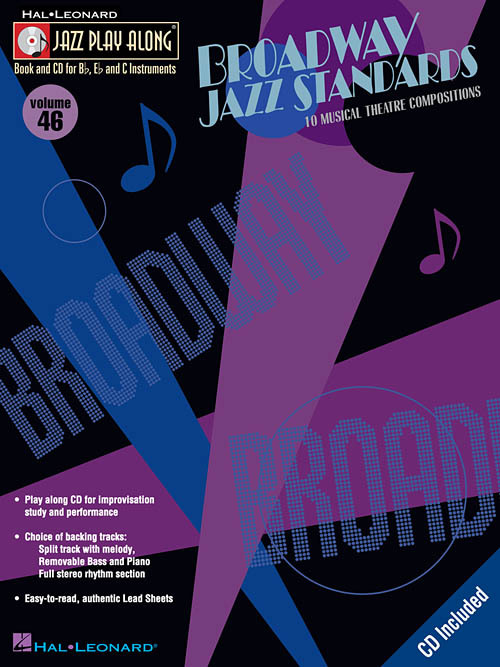 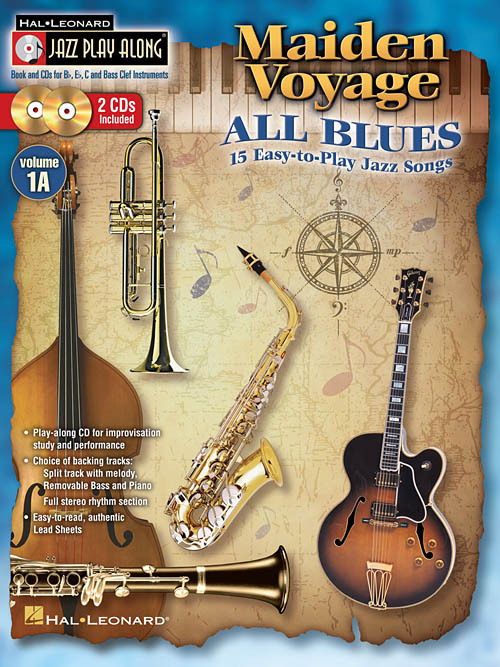 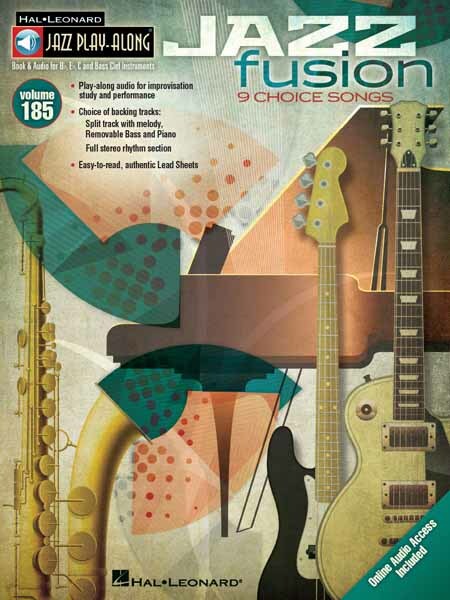 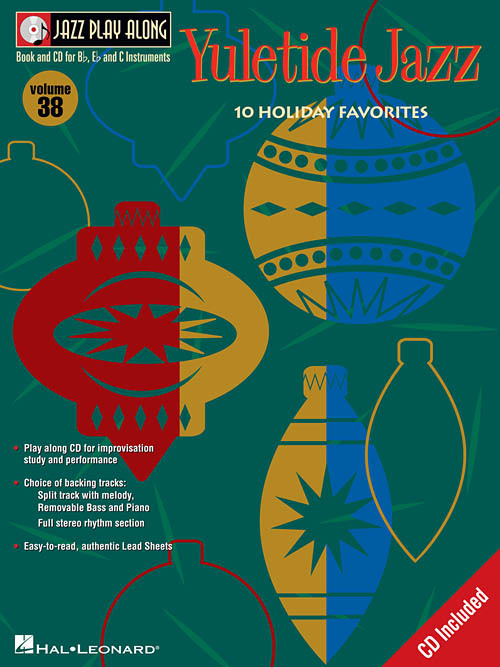 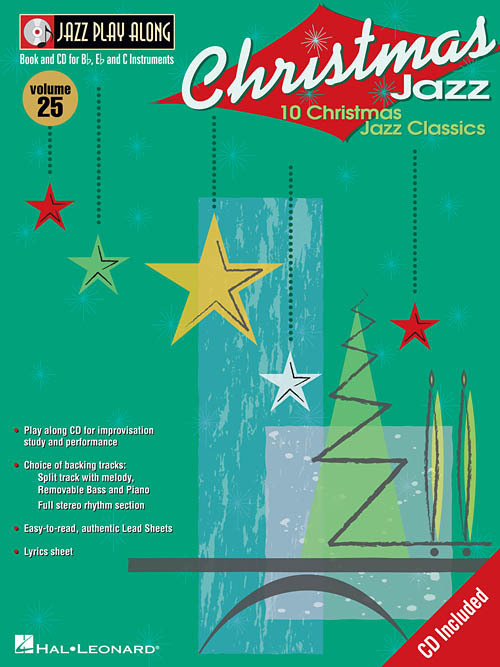 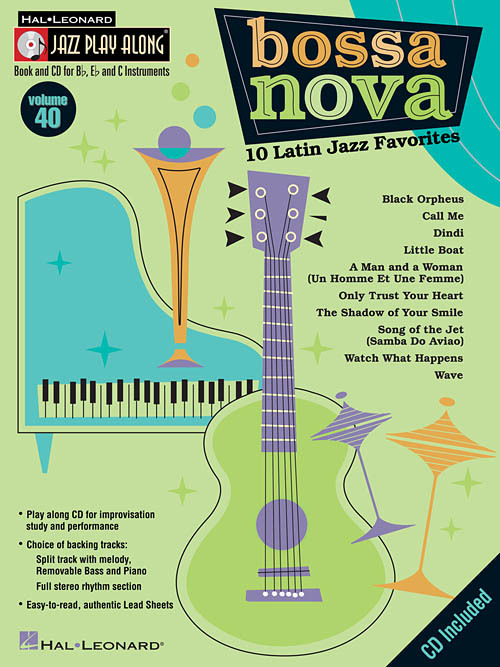 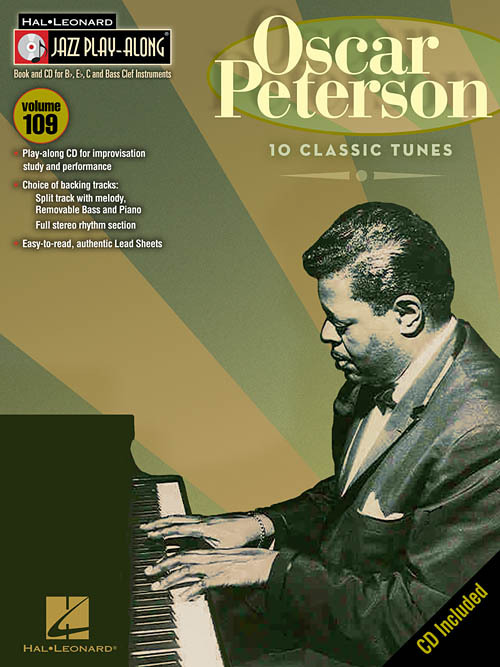 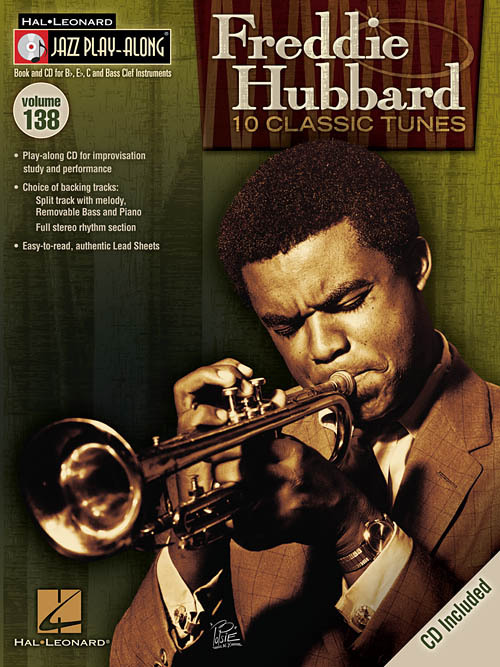 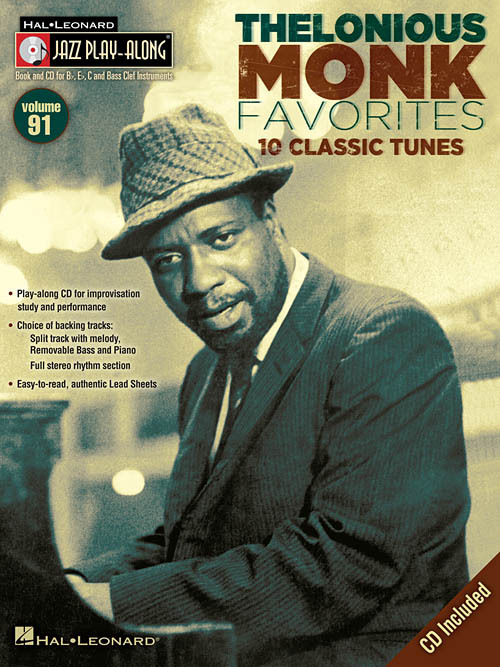 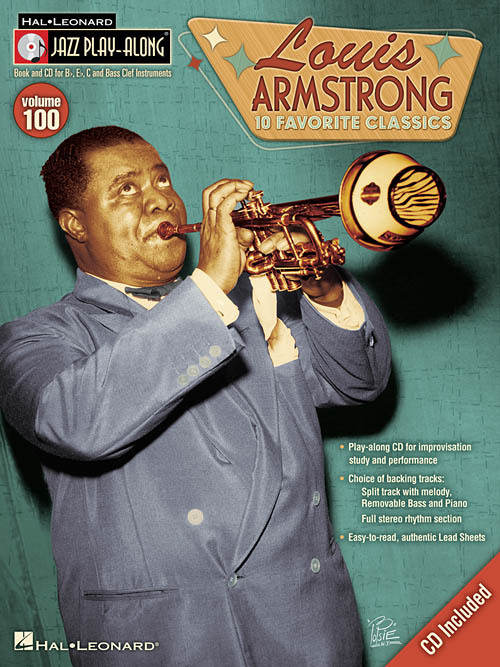 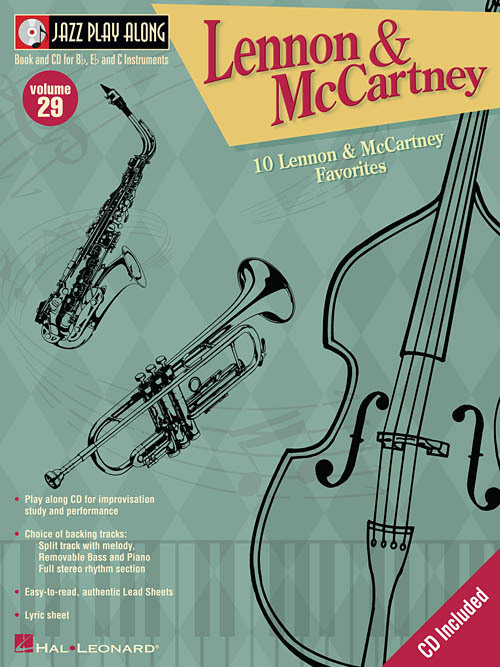 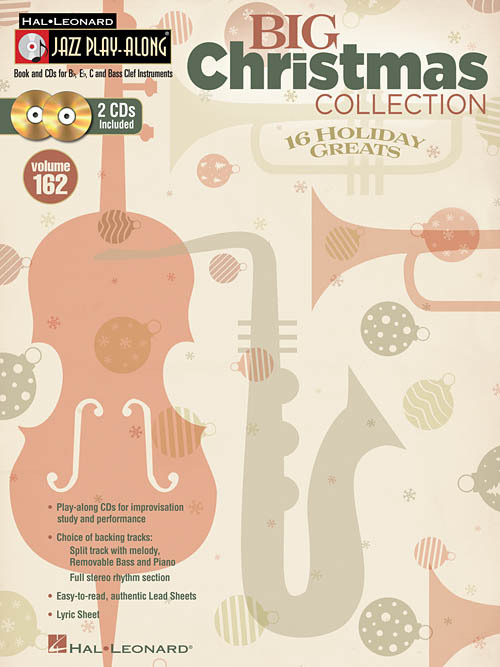 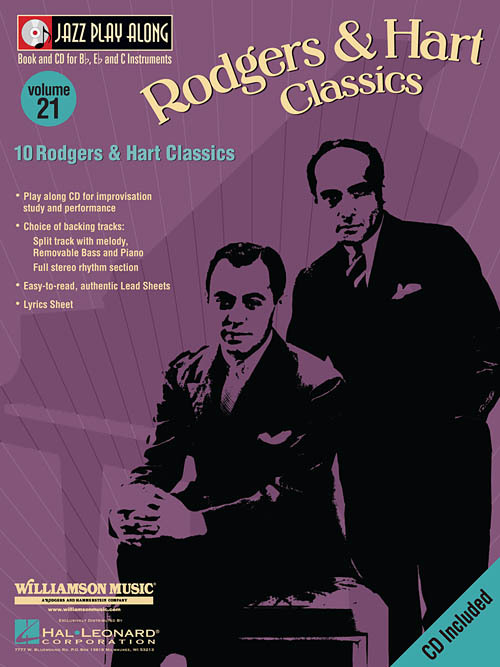 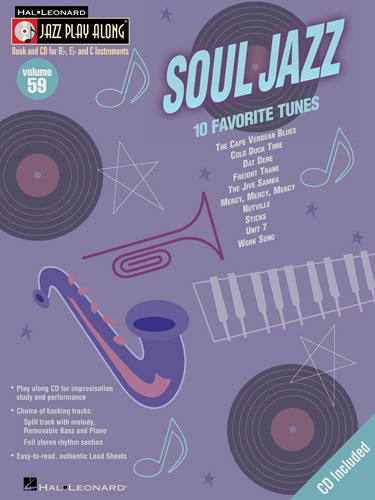 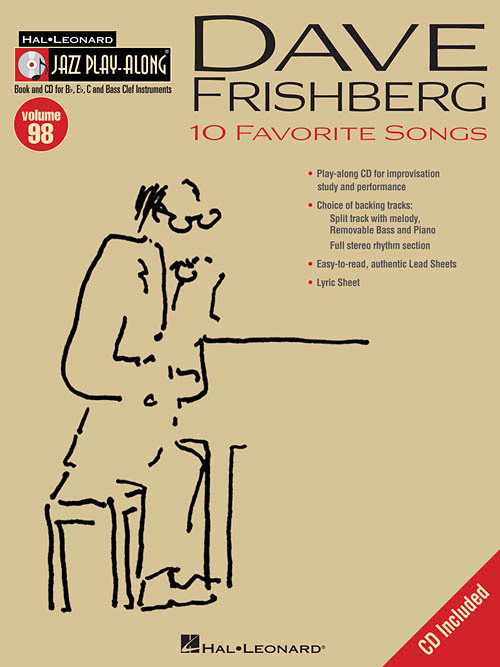 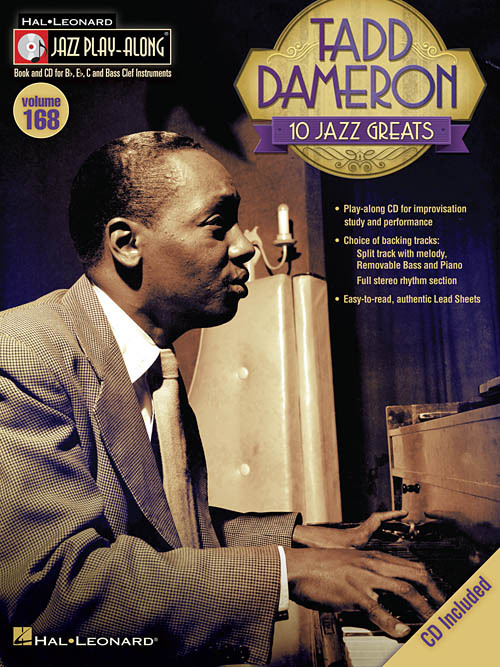 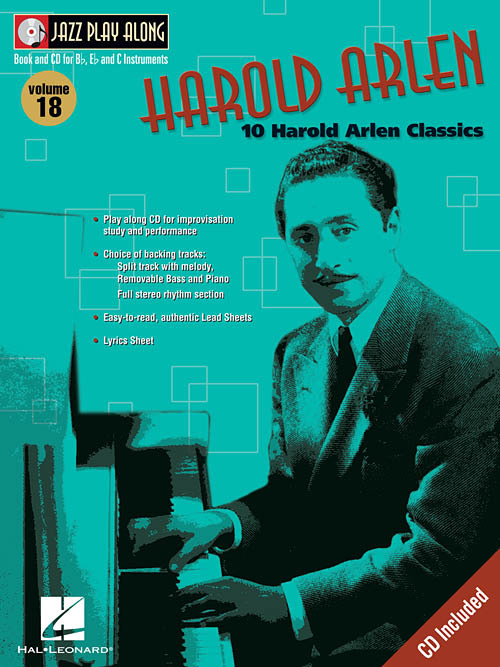 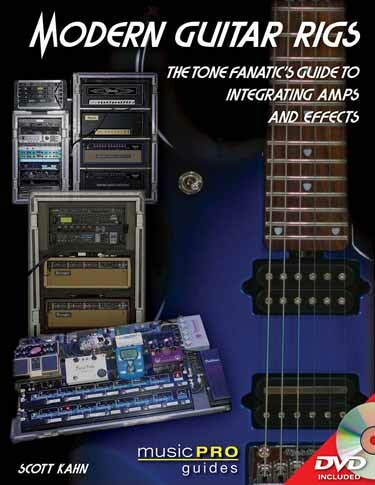 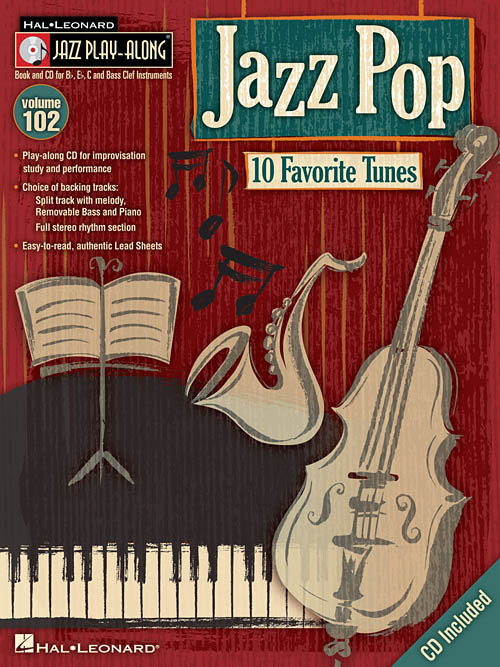 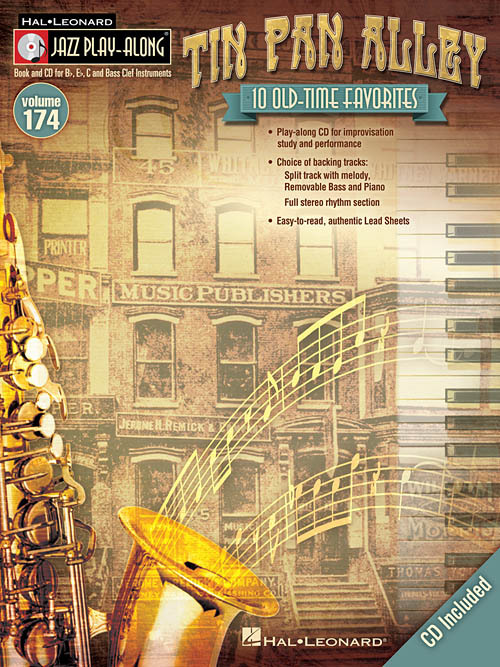 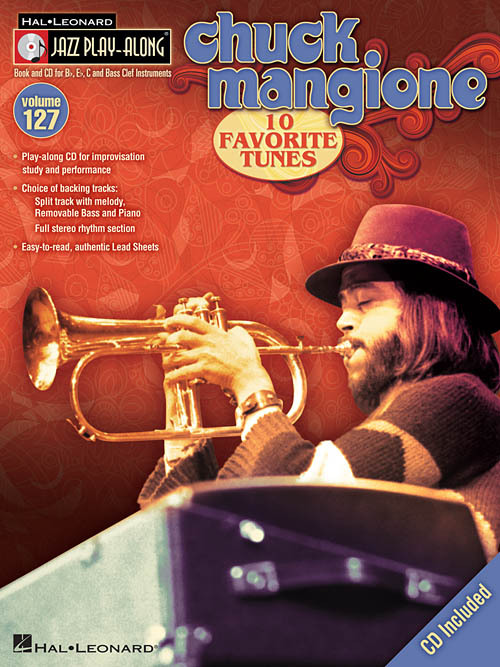 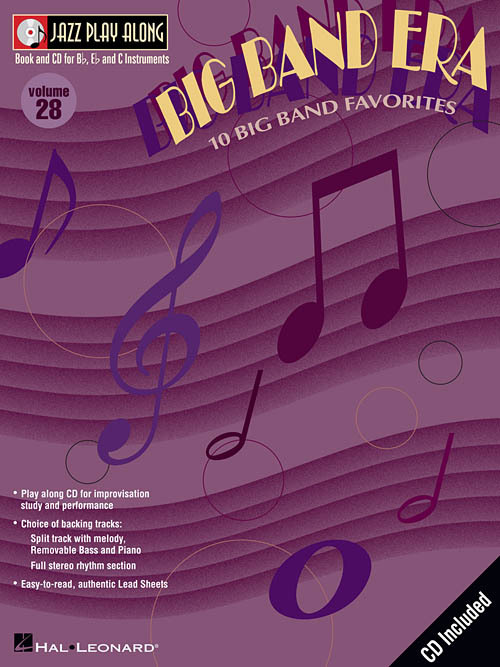 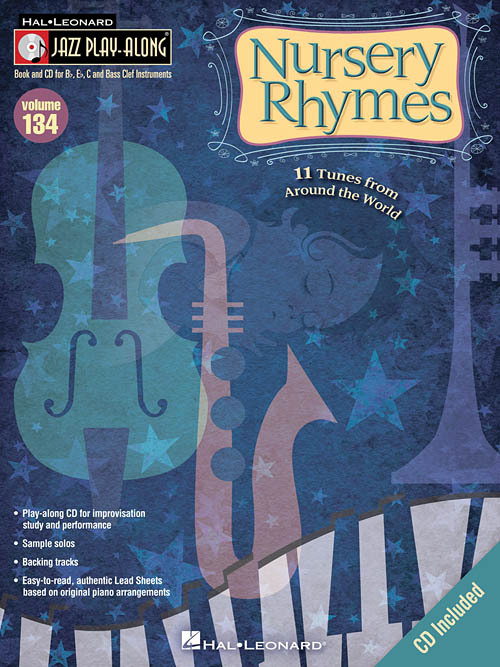 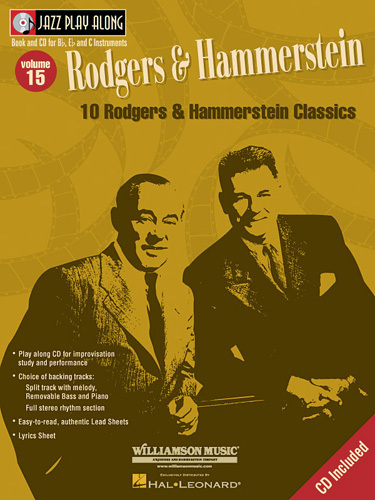 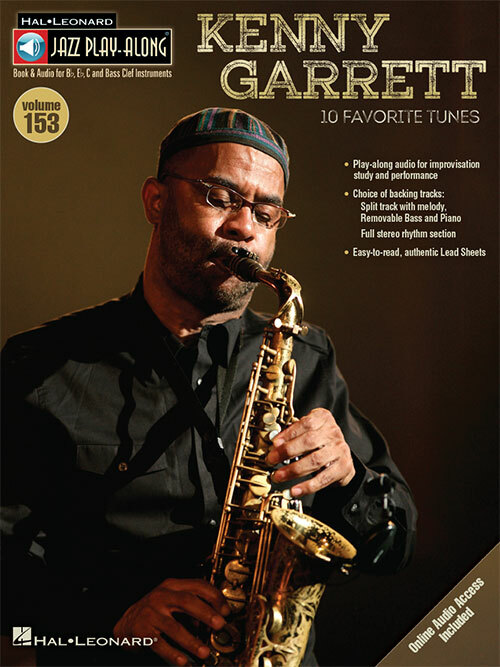 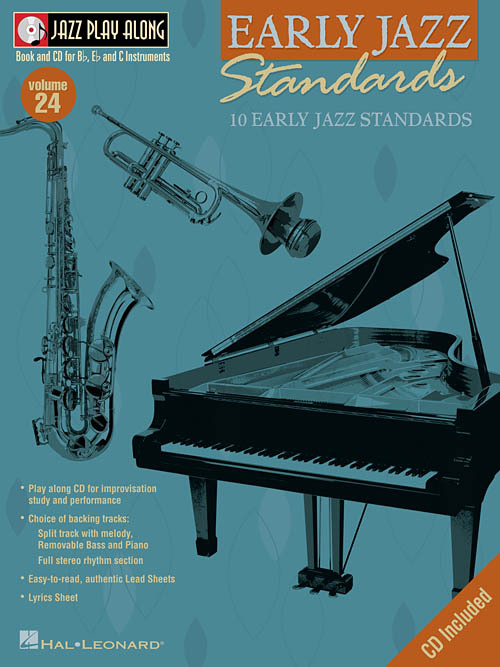 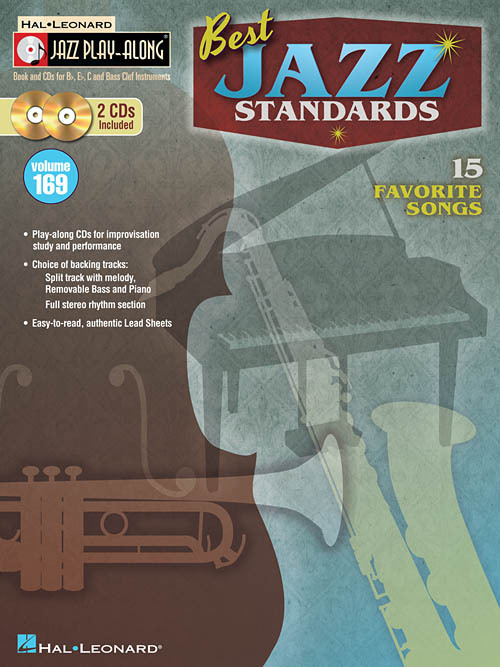 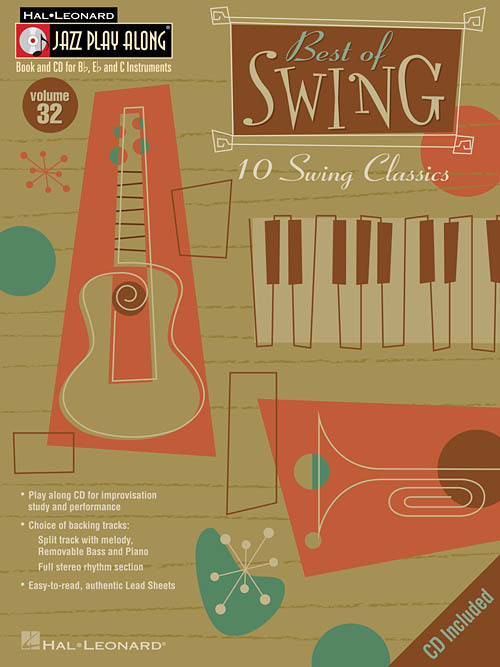 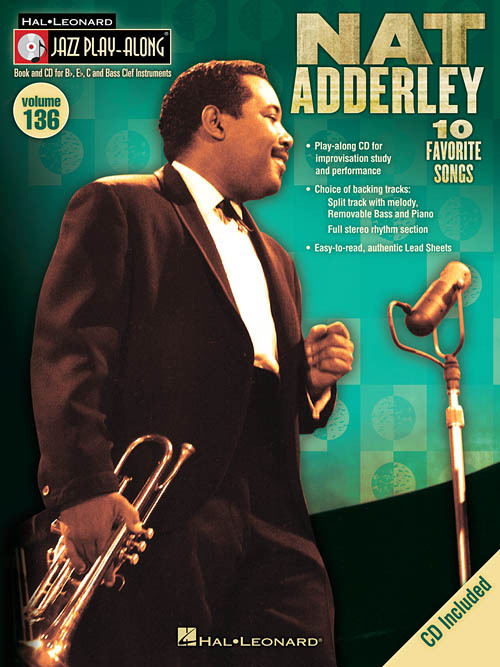 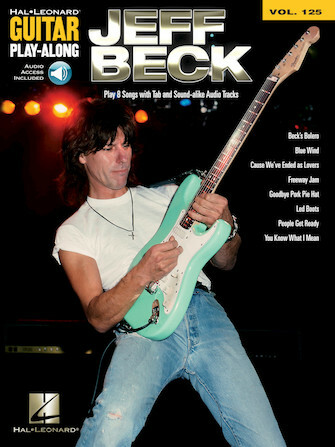 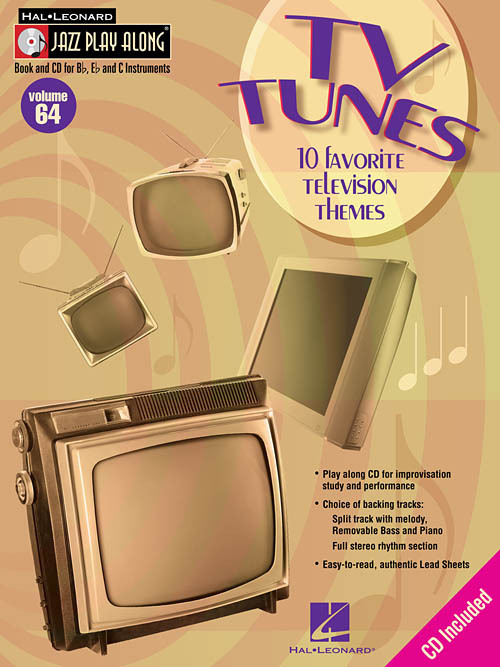 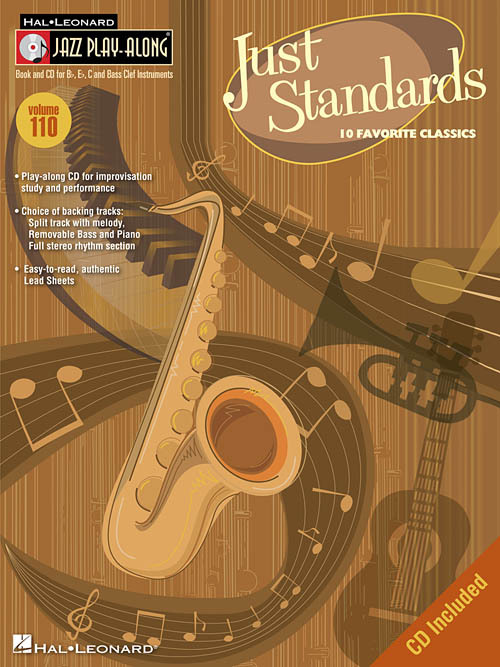 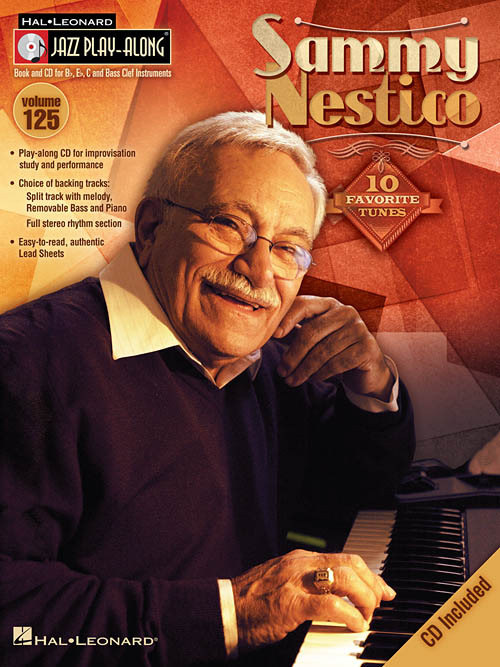 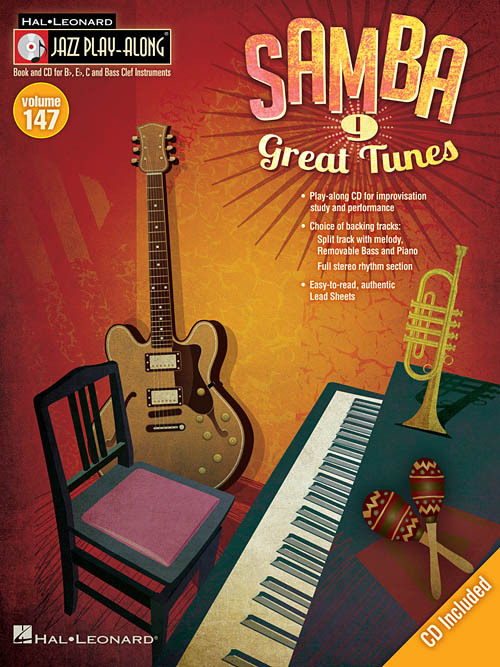 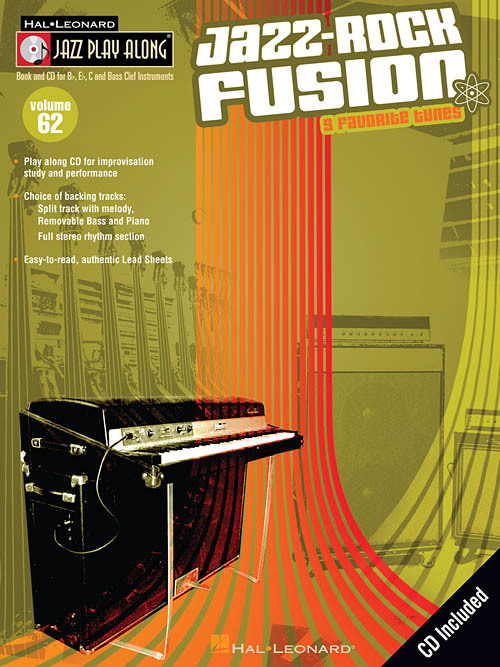 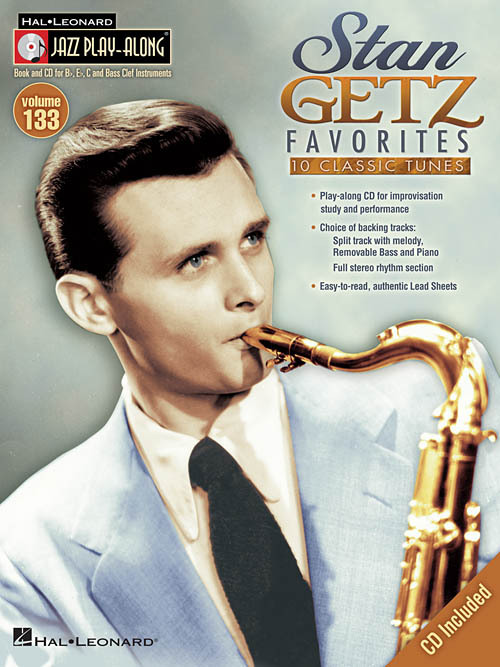 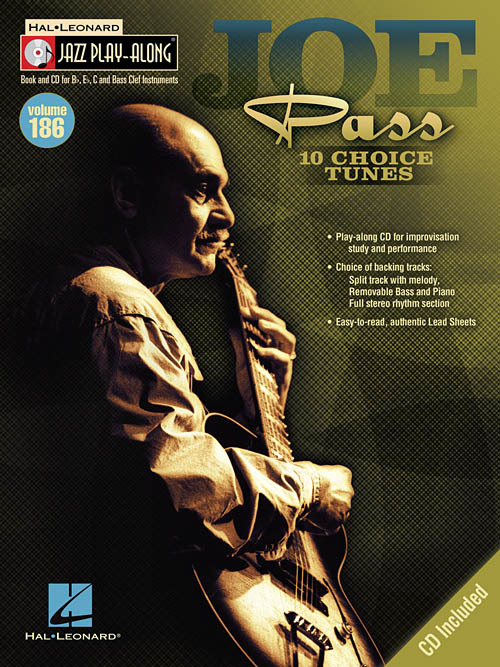 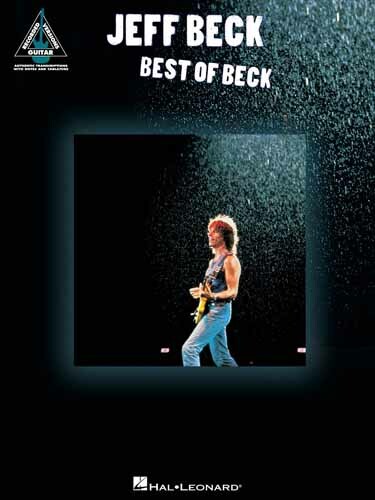 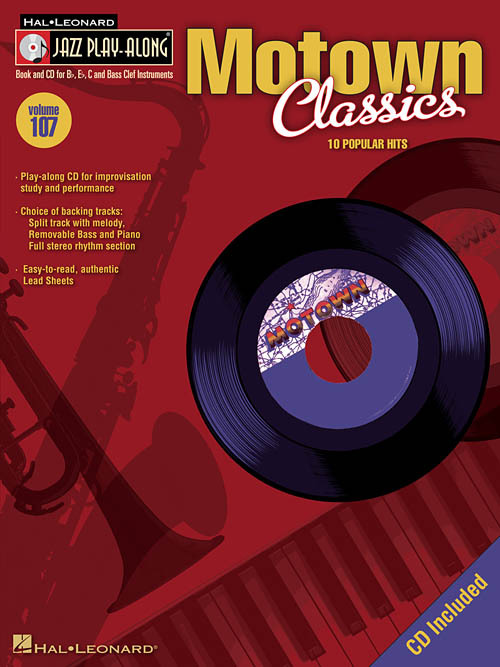 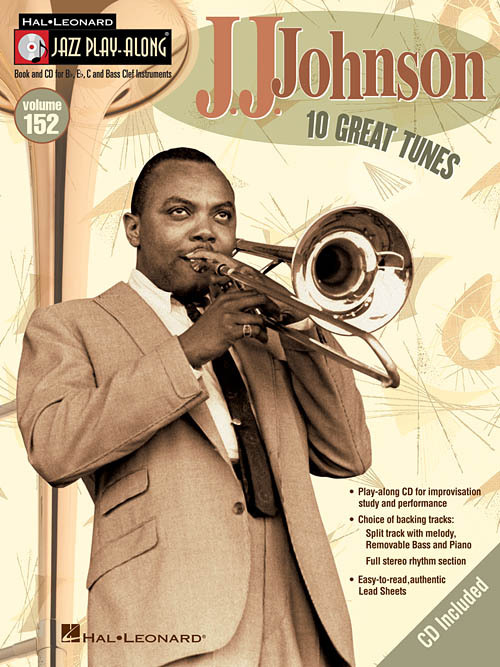 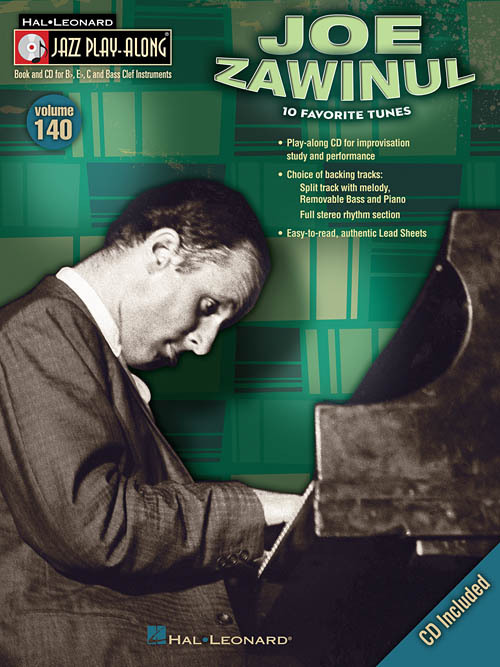 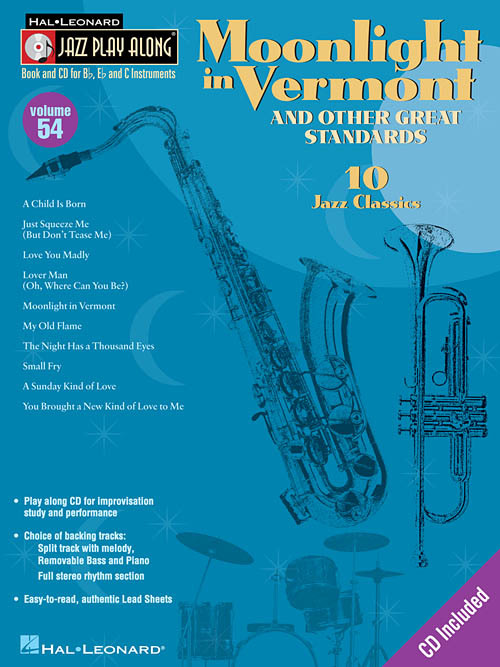 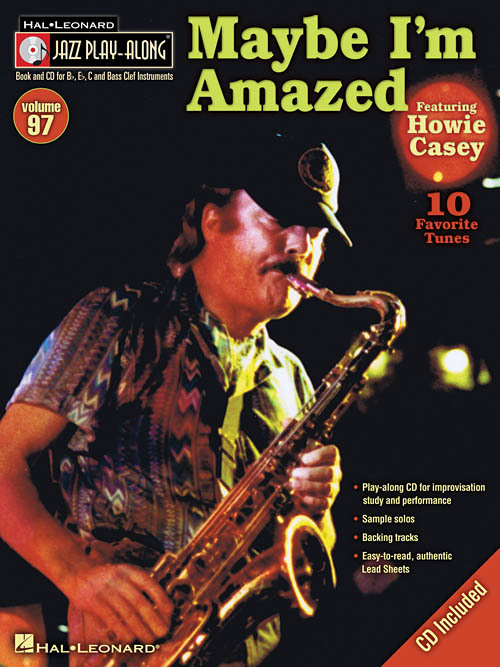 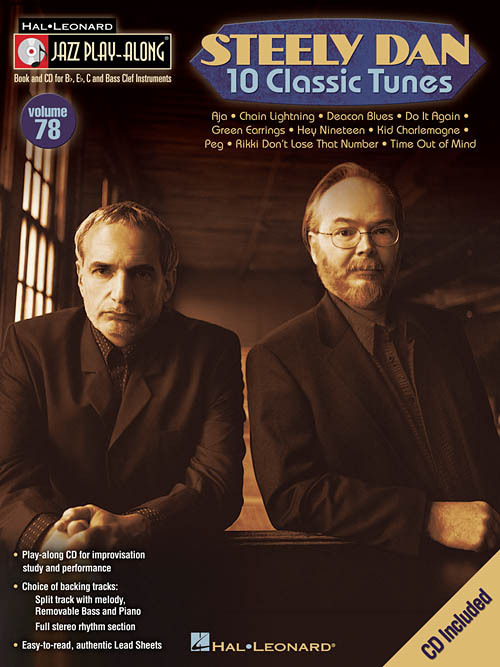 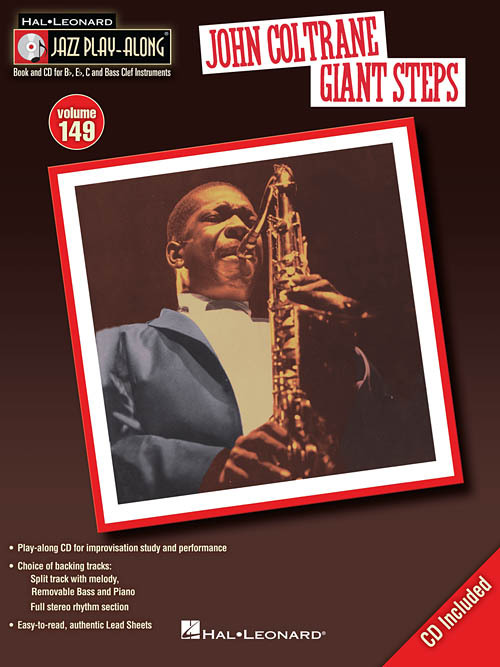 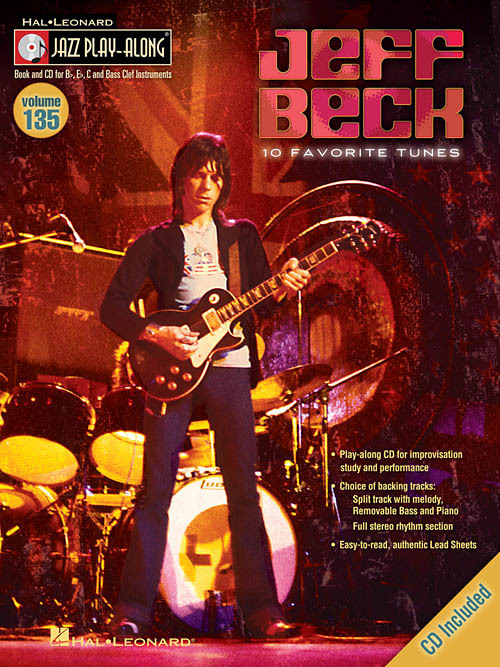 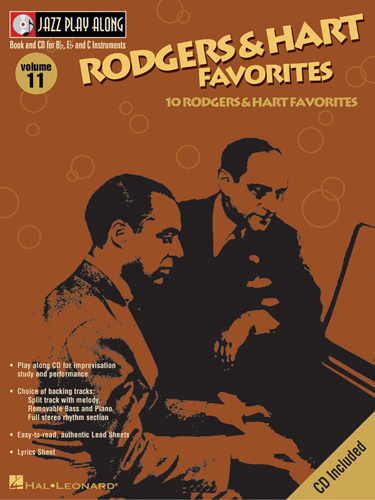 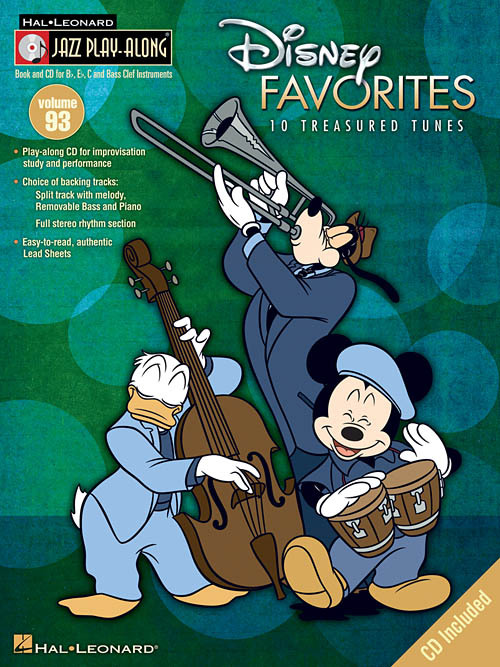 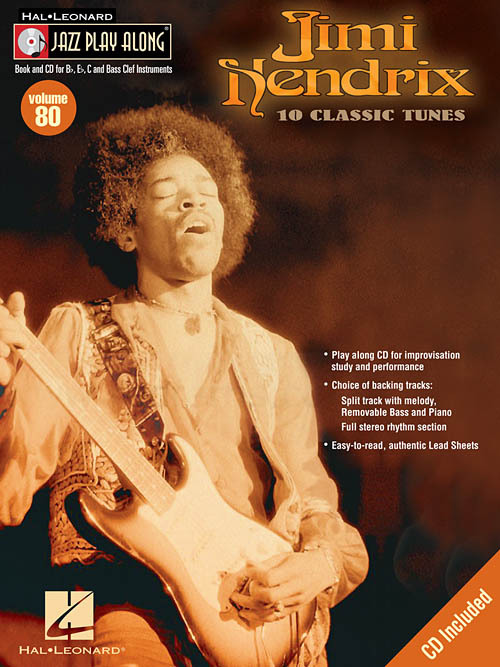 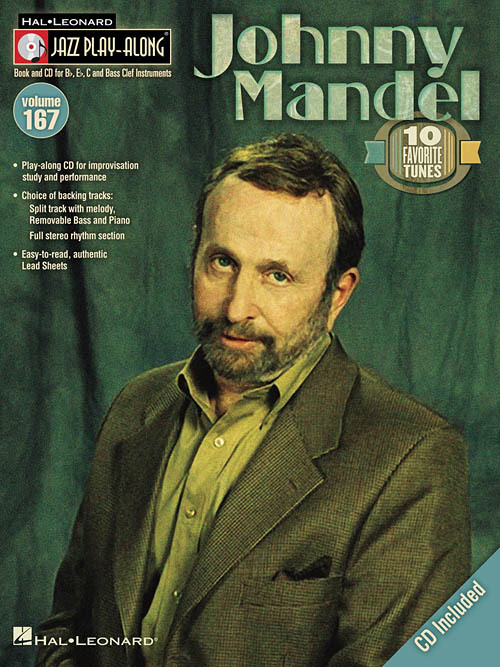 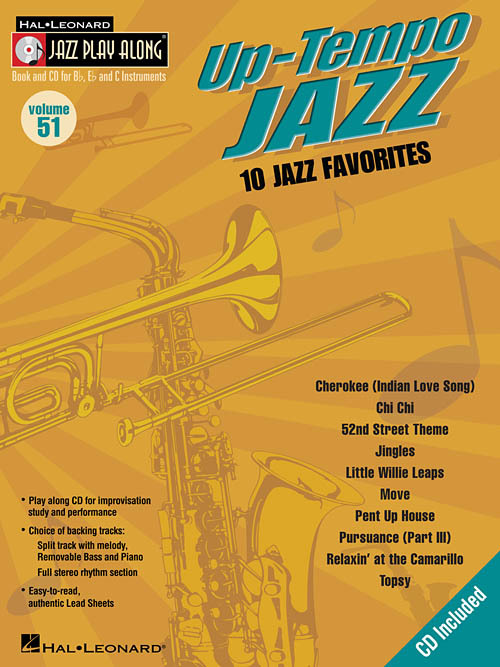 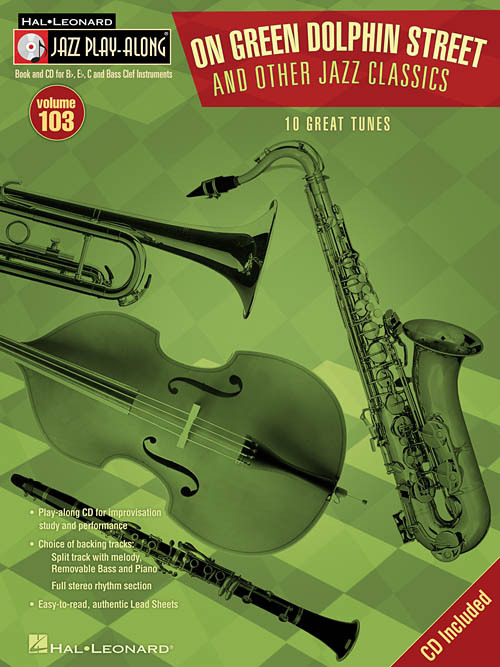 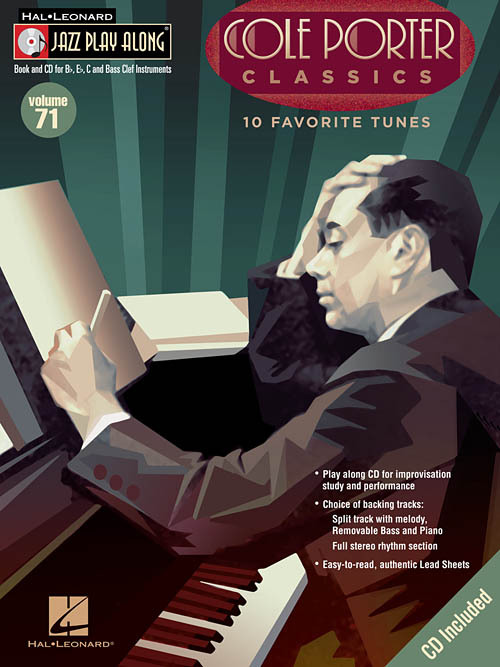 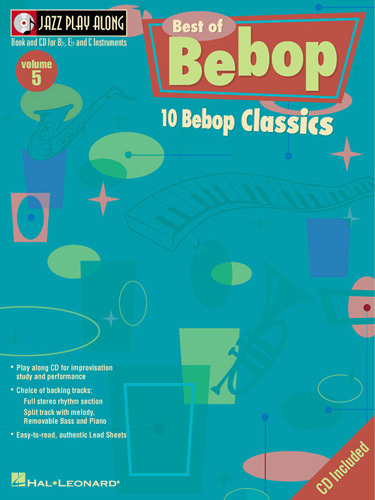 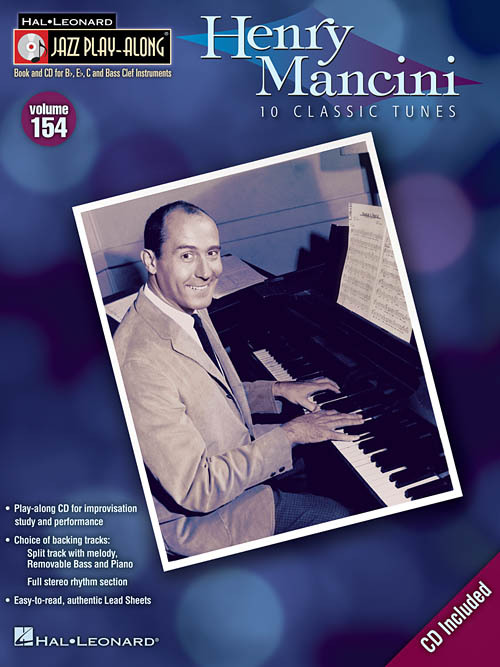 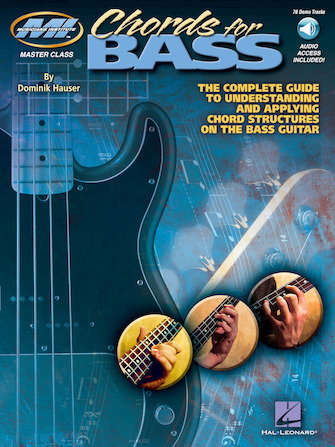 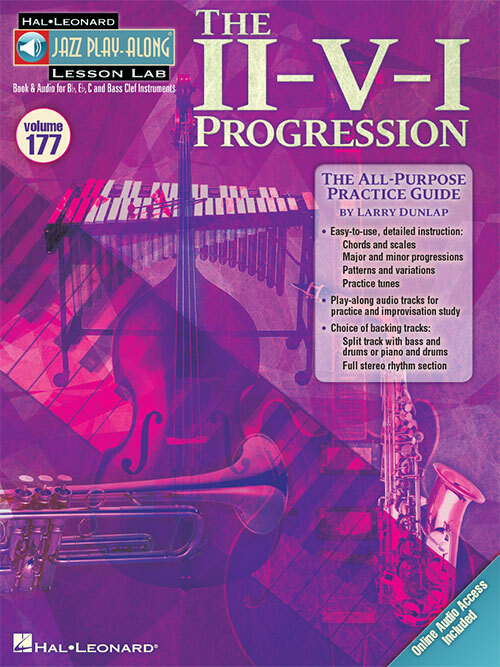 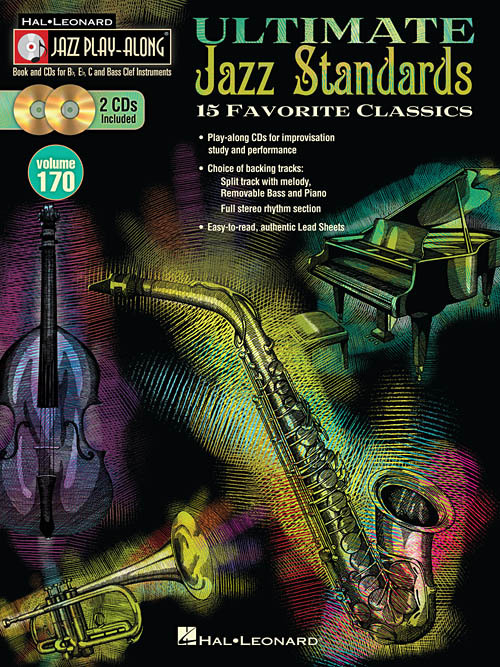 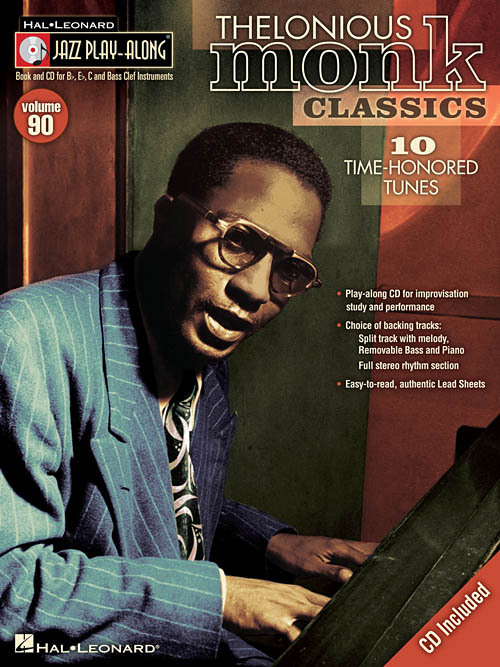 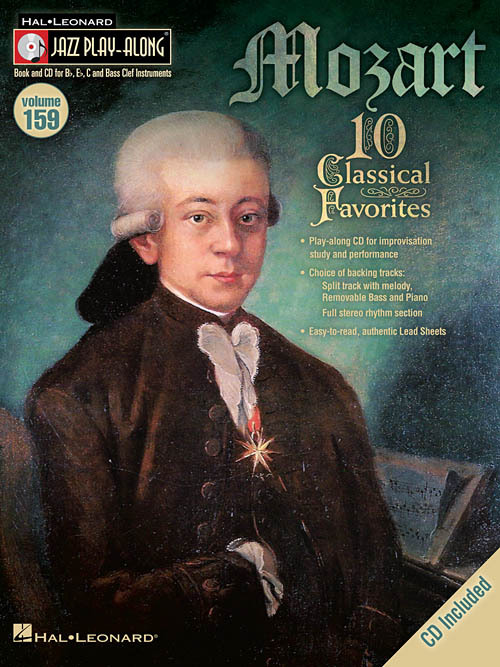 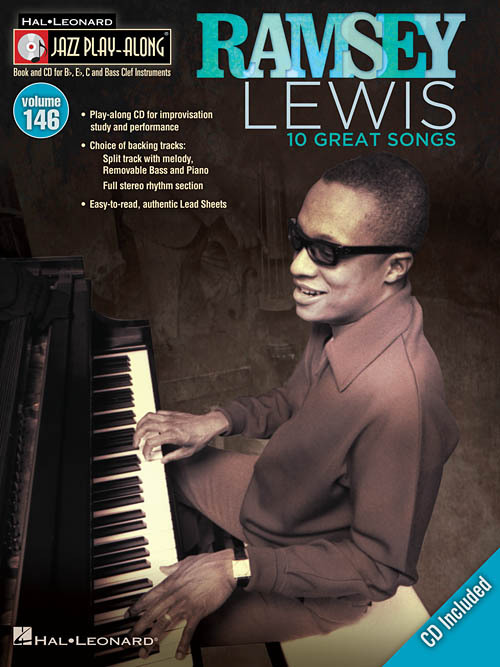 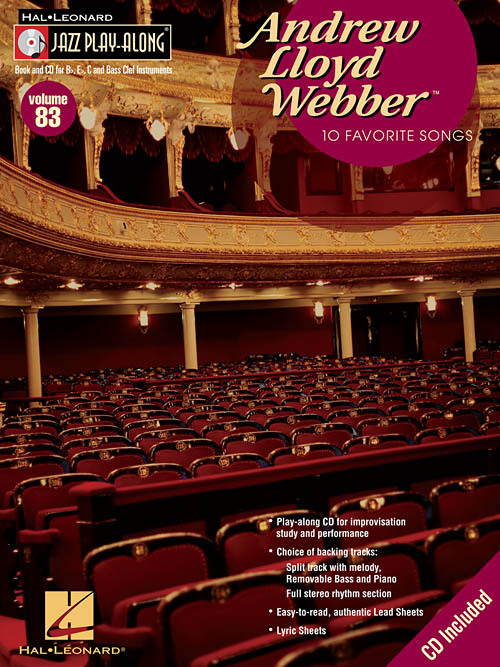 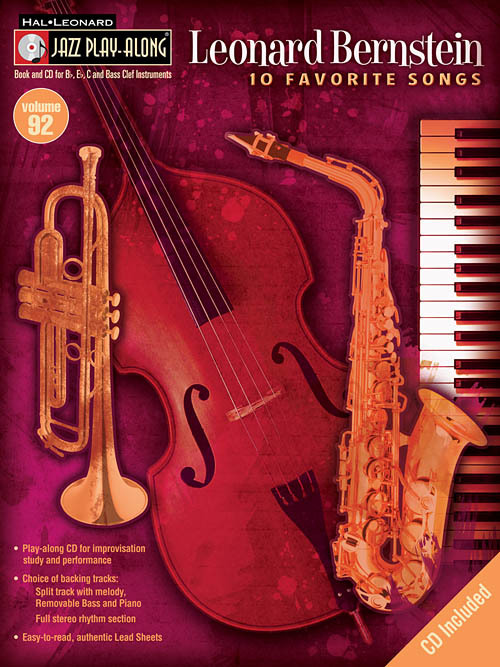 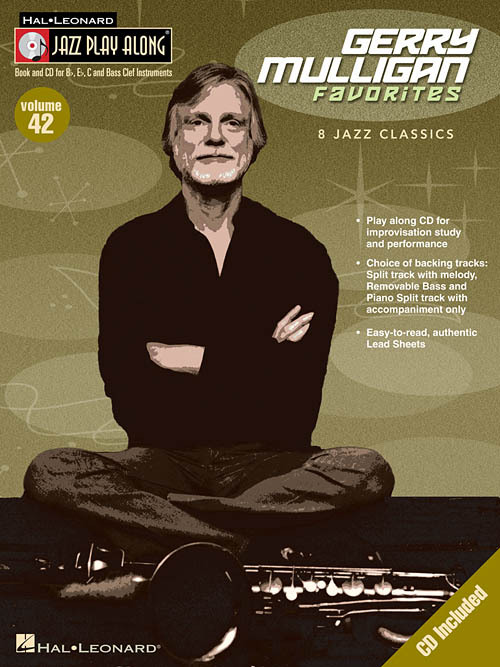 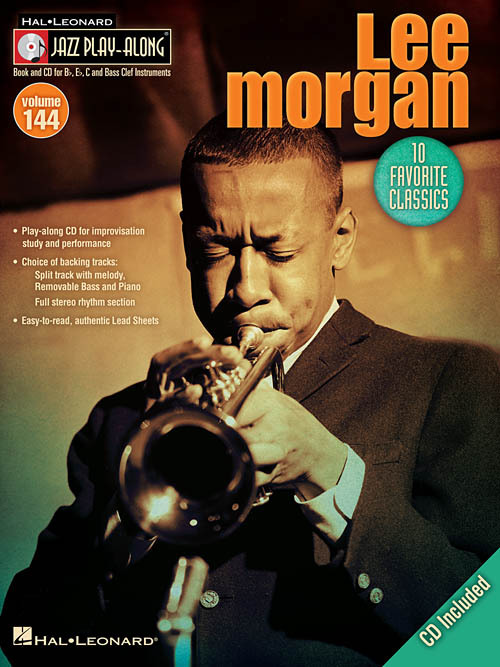 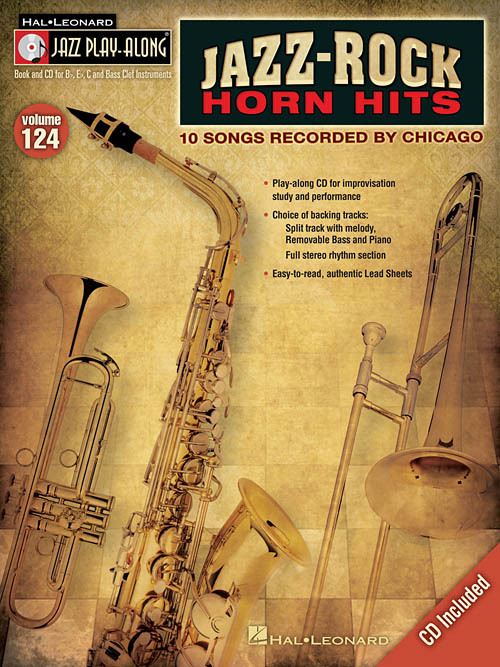 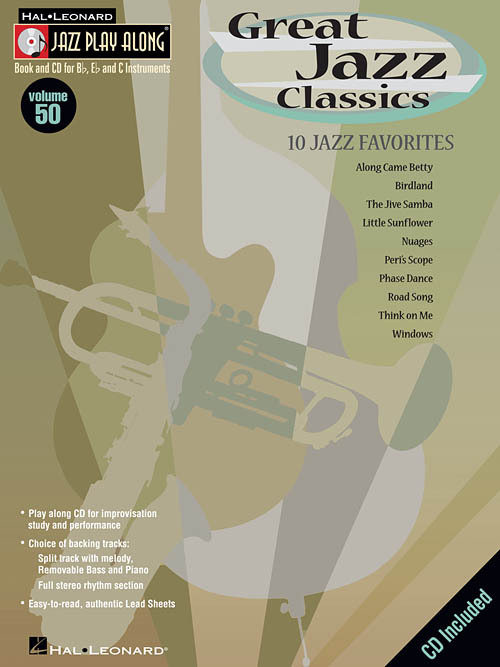 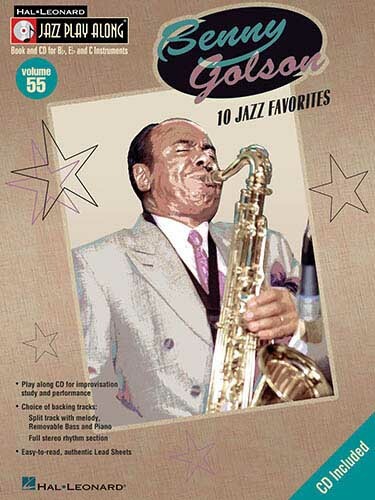 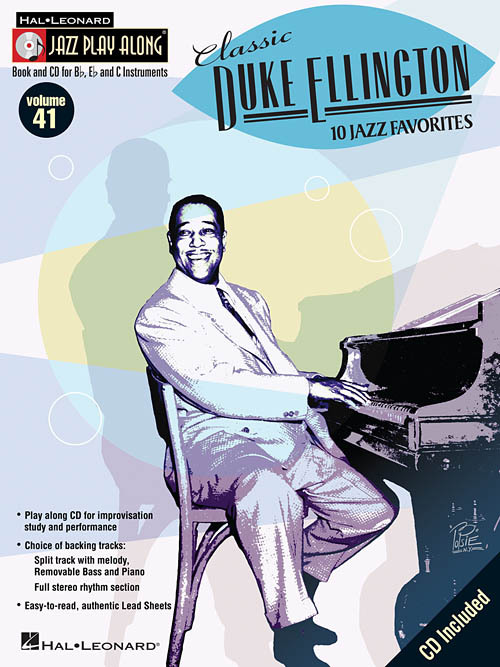 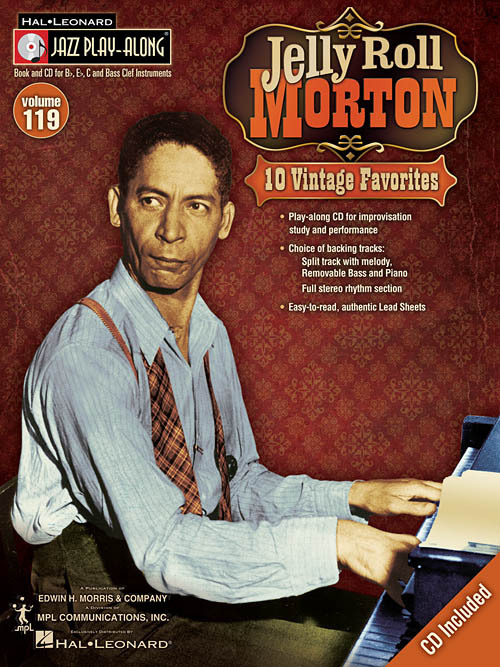 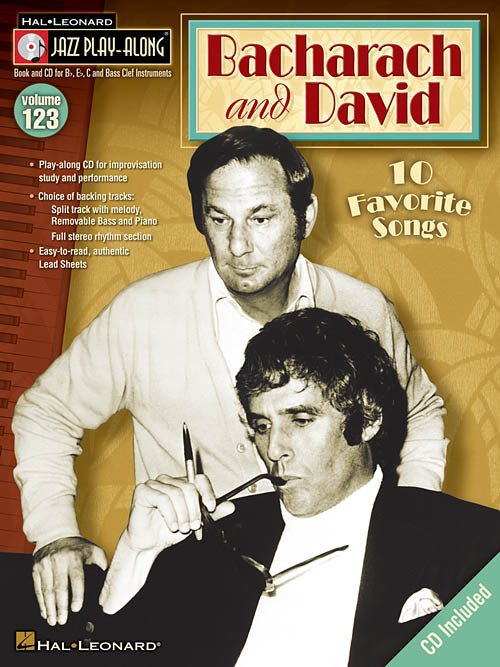 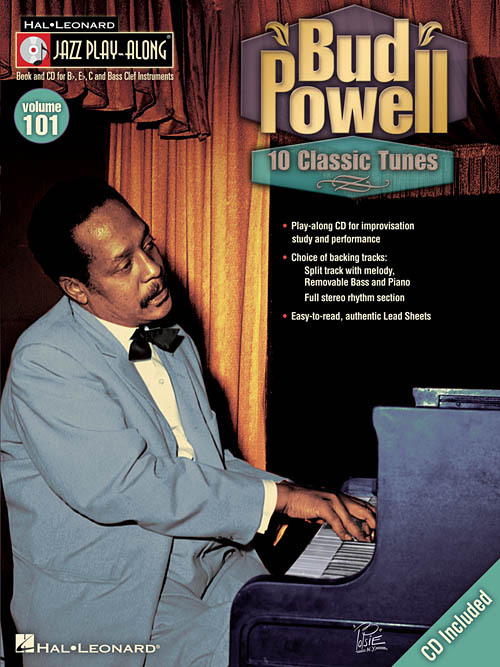 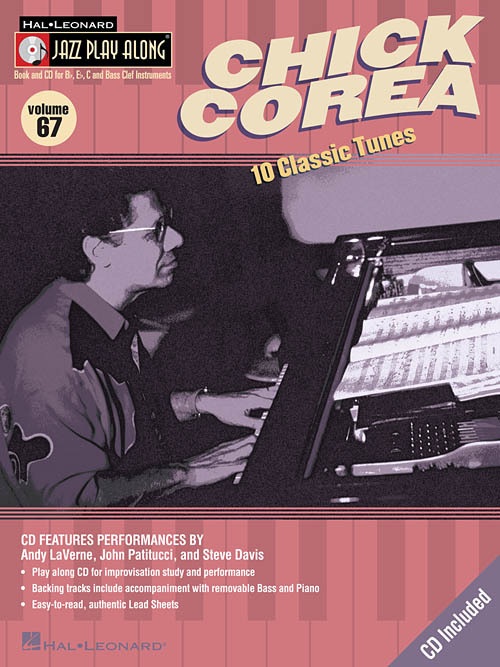 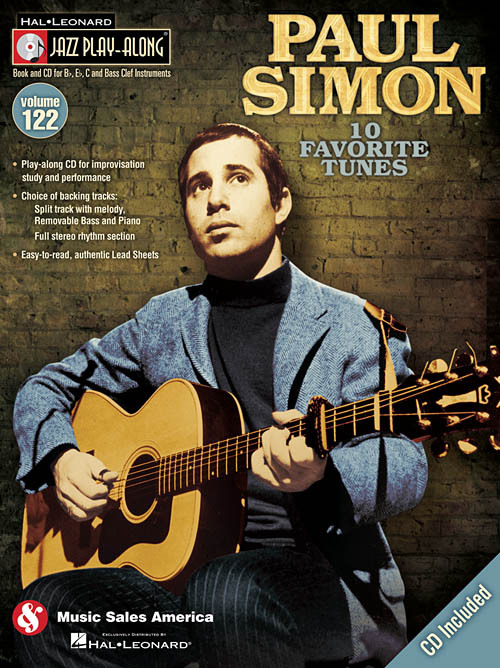 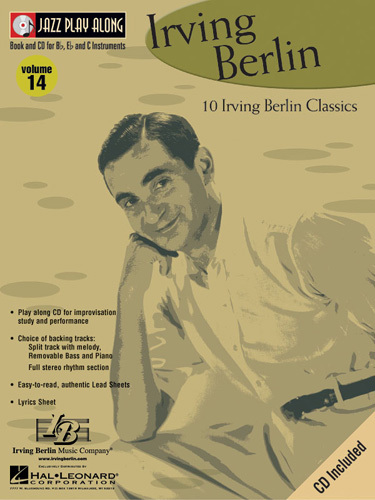 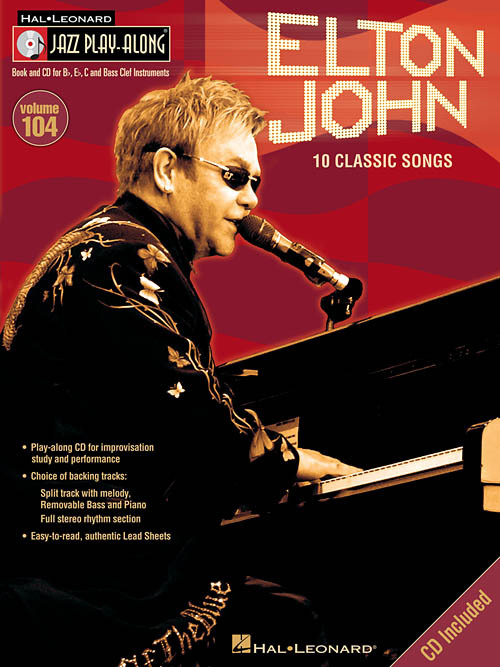 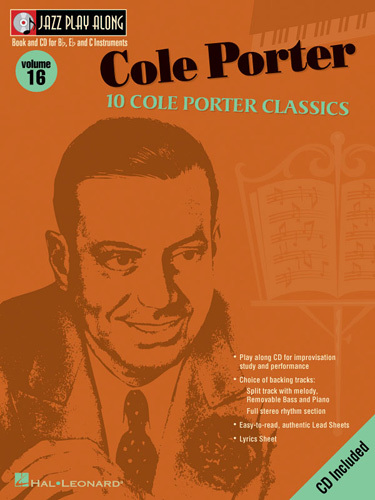 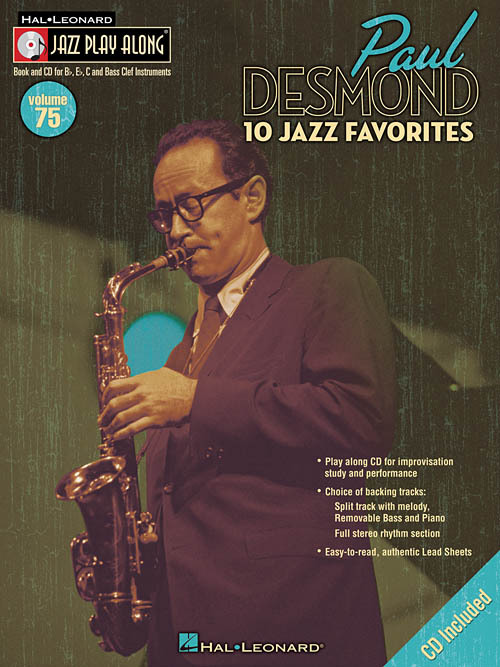 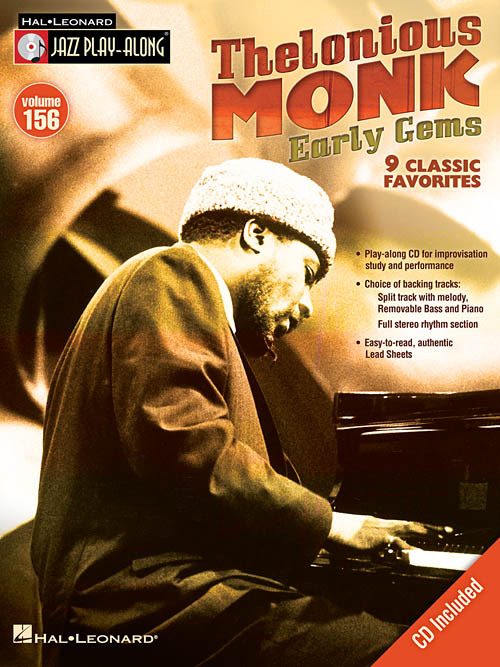 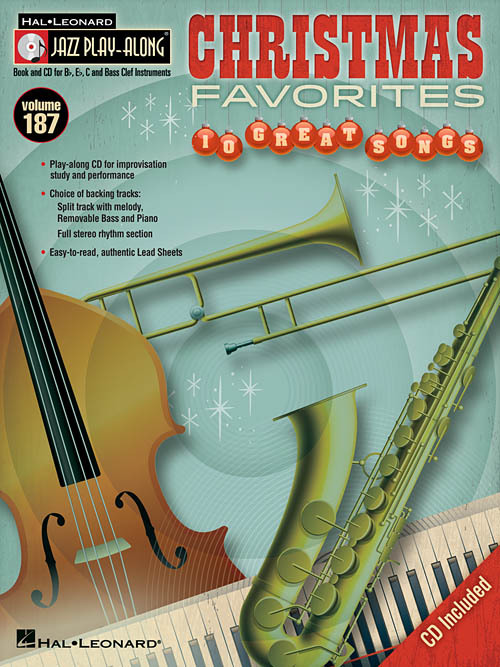 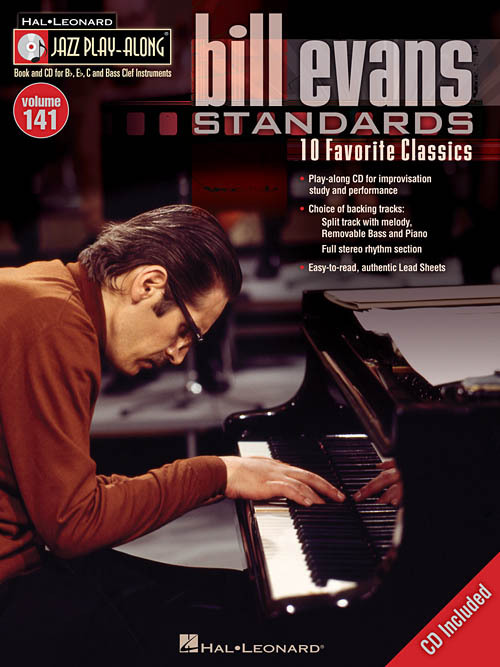 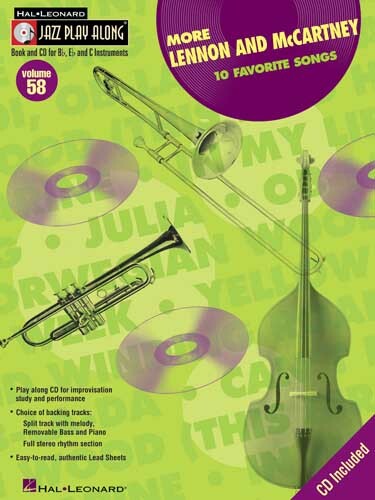 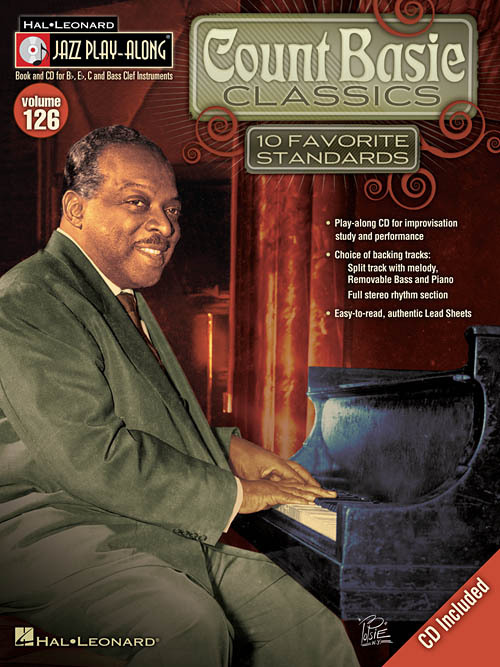 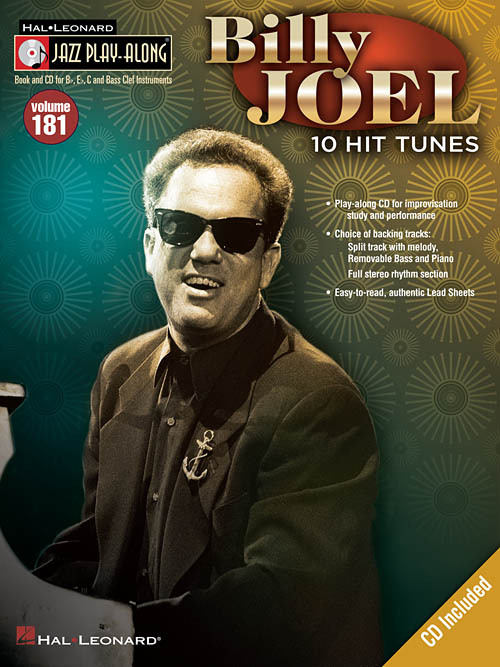 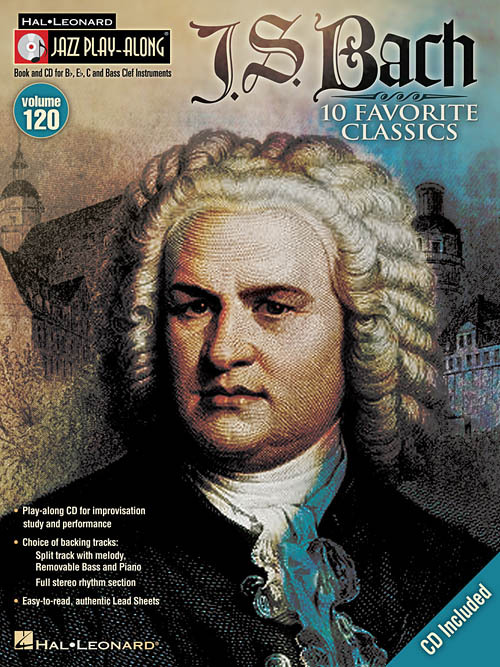 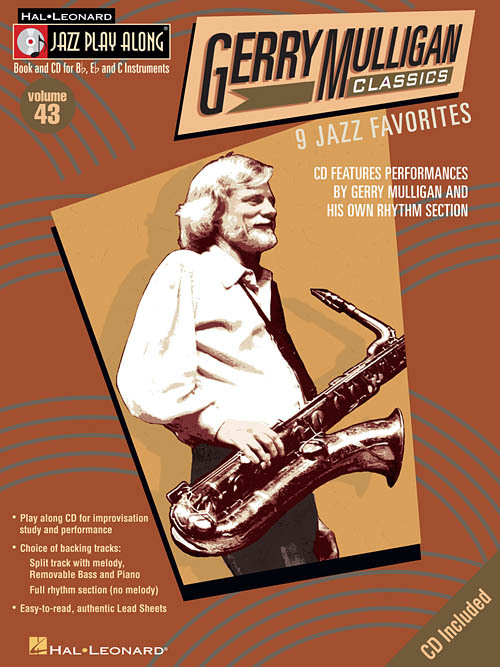 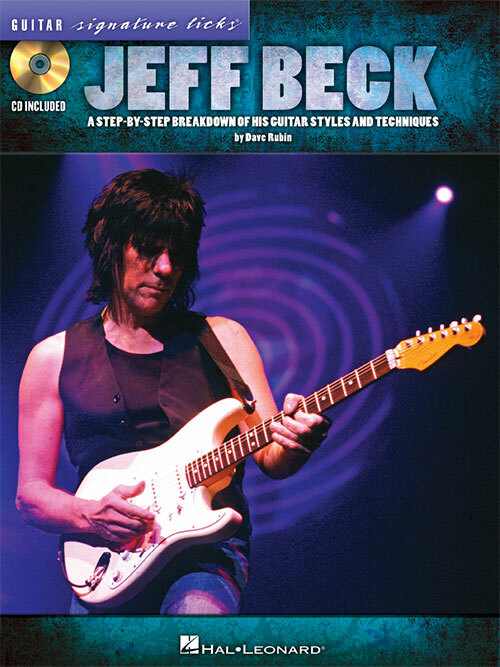 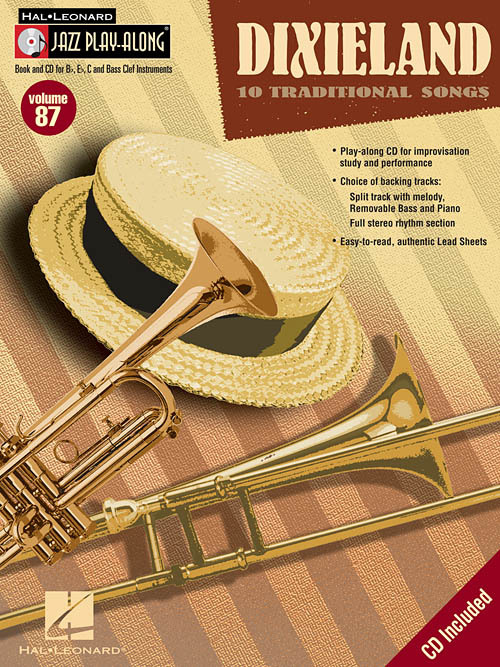 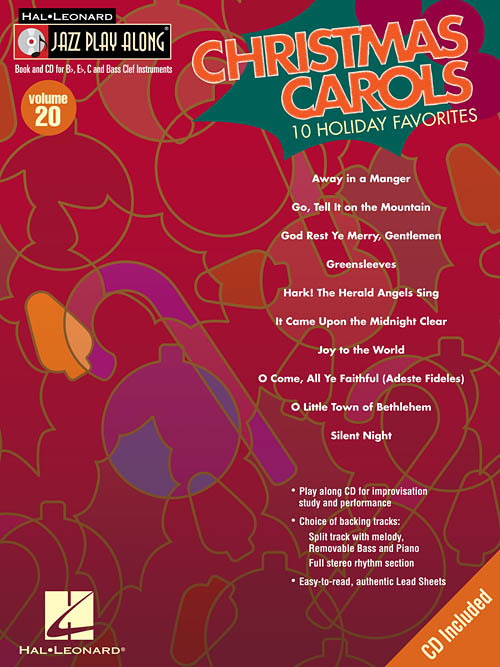 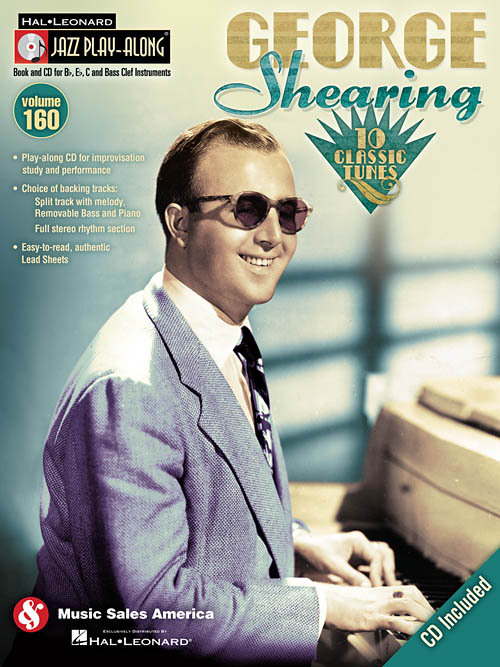 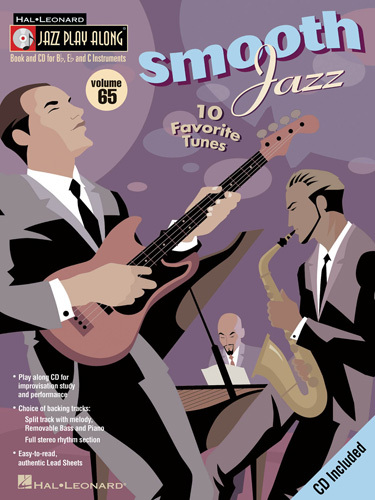 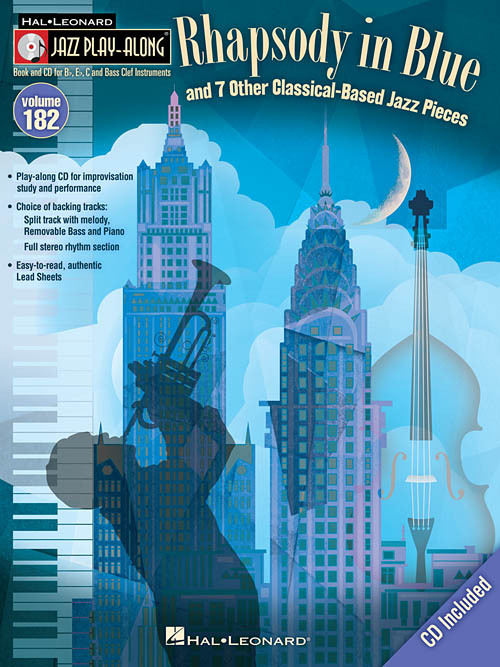 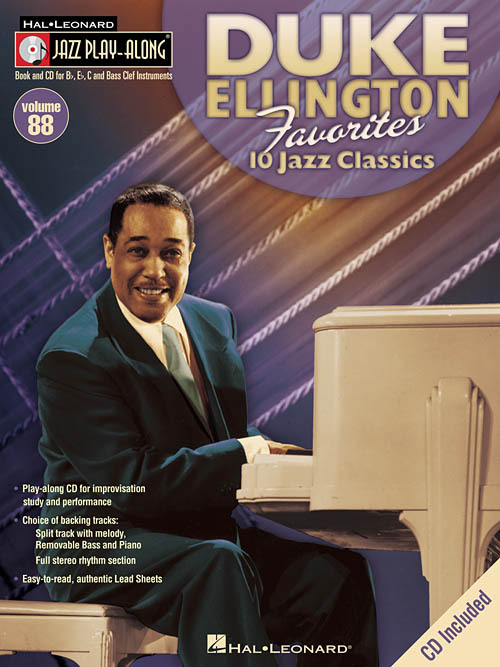 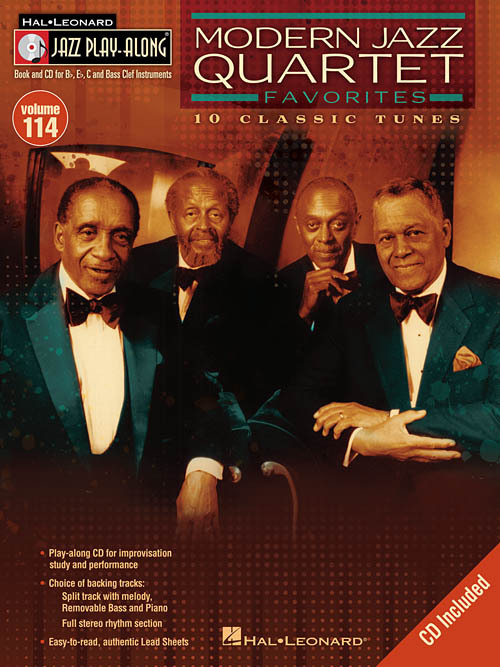 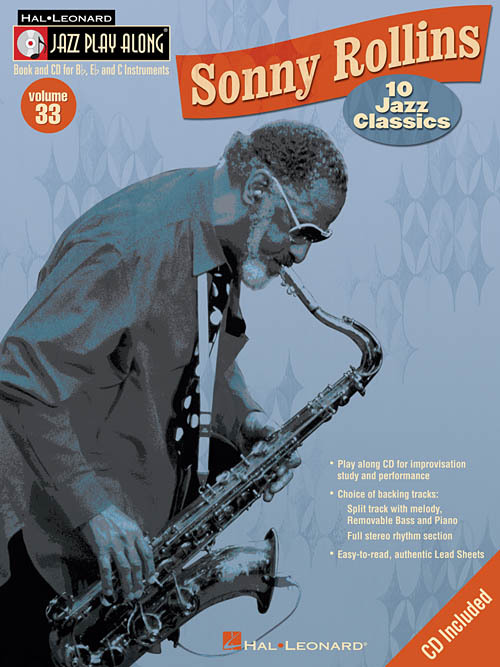 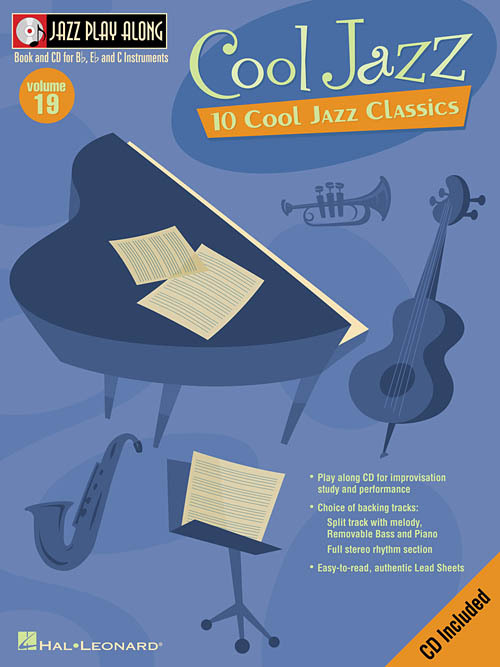 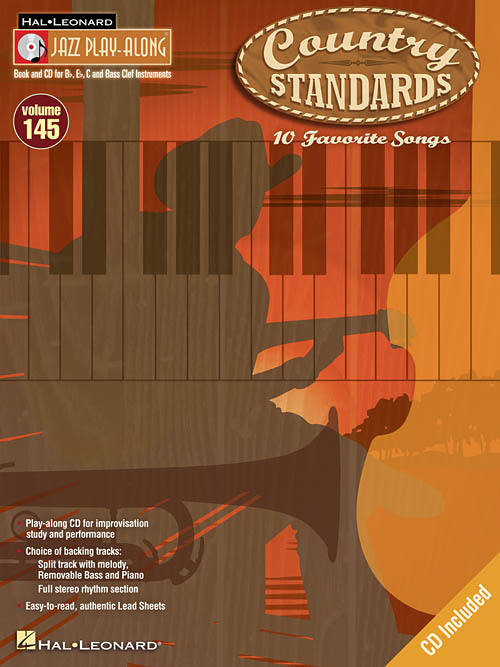 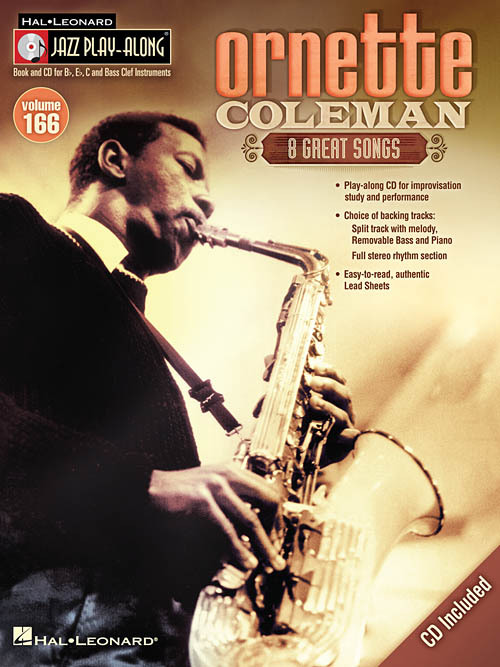 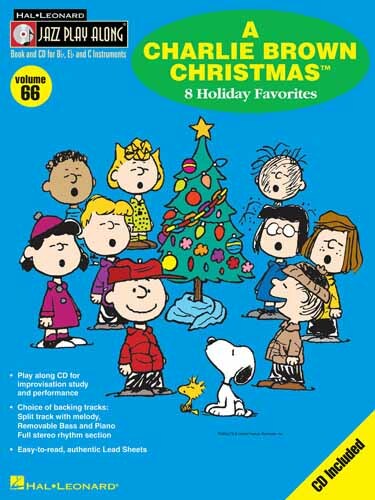 With musician-friendly lead sheets, melody cues, and other split-track choices on the included CD, these first-of-a-kind packages help you master improvisation while playing some of the greatest tunes of all time. 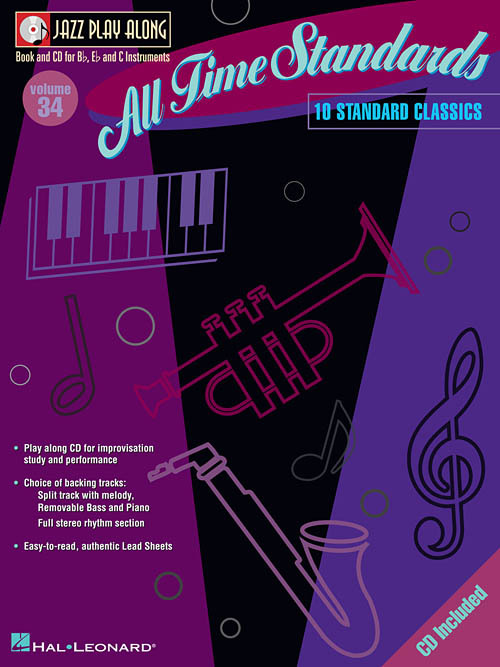 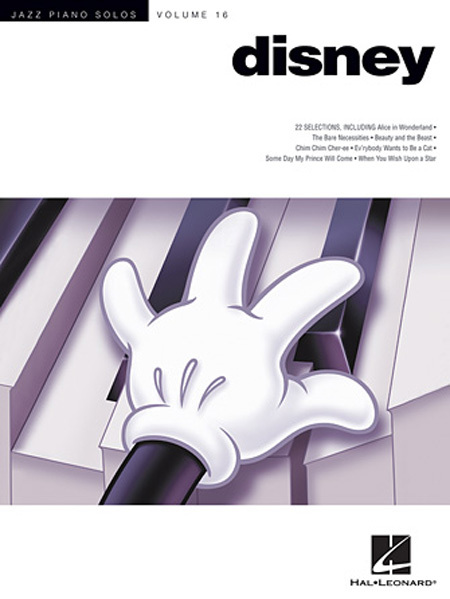 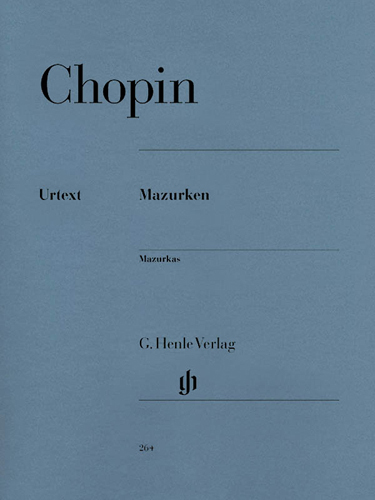 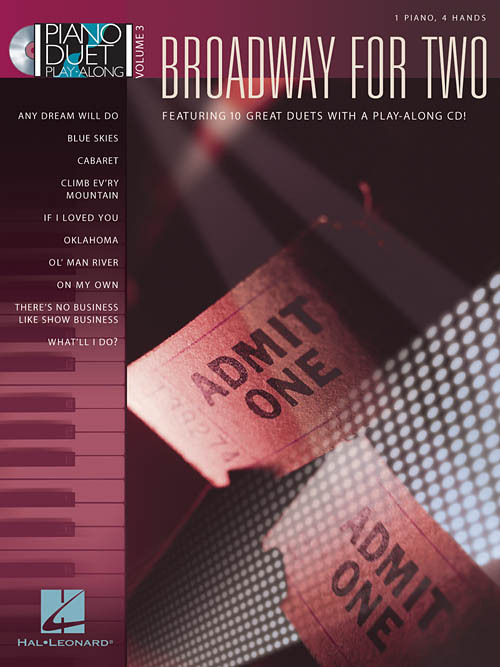 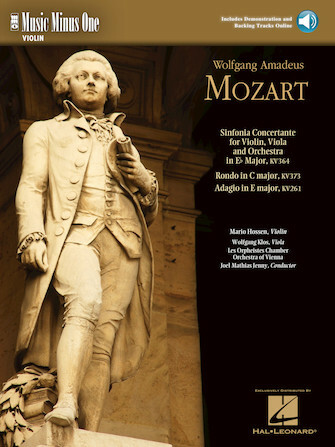 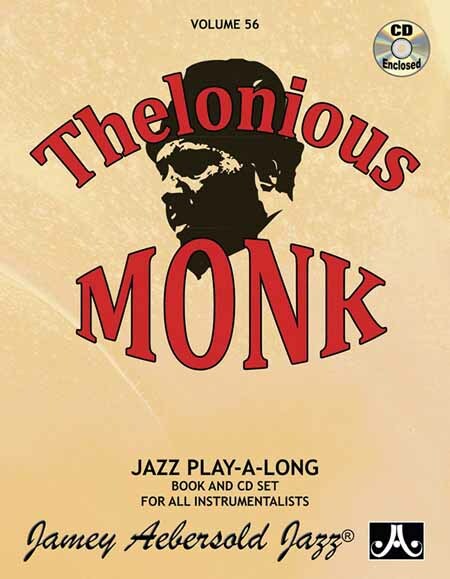 FOR STUDY, each tune includes a split track with: Melody cue with proper style and inflection • Professional rhythm tracks • Choruses for soloing • Removable bass part • Removable piano part. 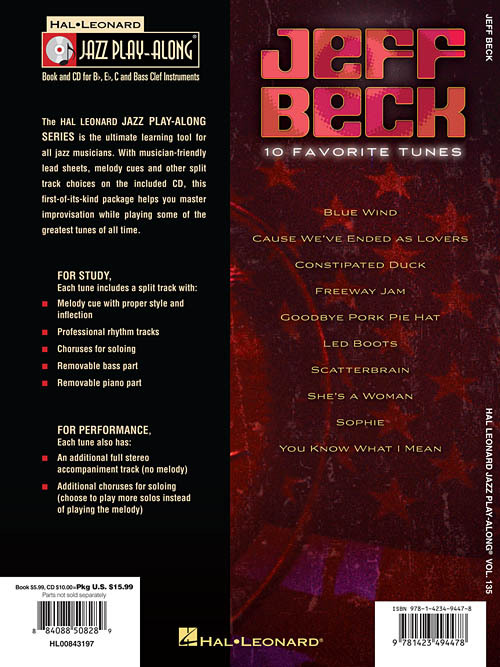 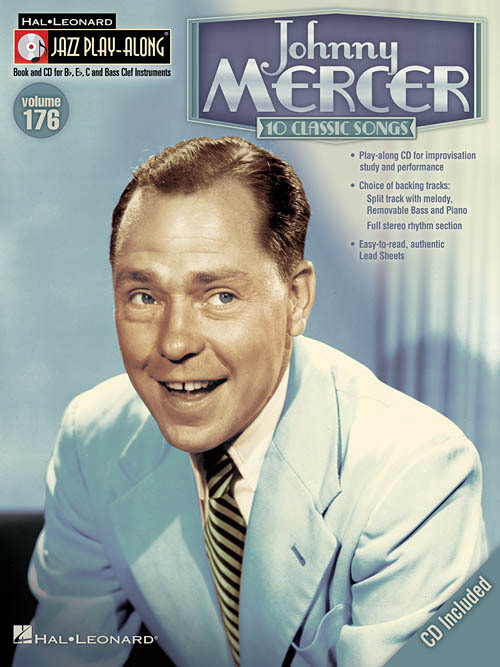 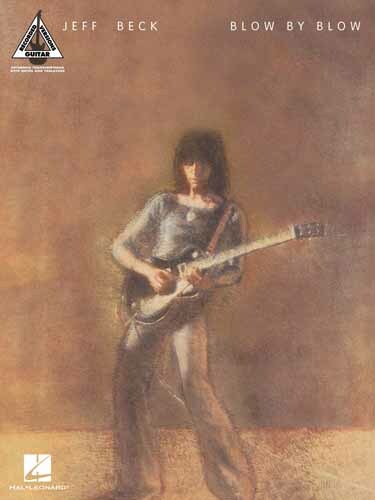 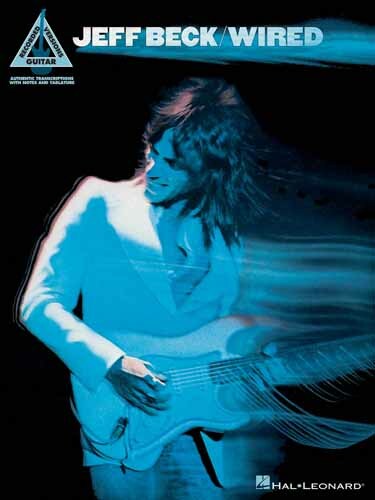 FOR PERFORMANCE, each tune also has: An additional full stereo accompaniment track (no melody) • Additional choruses for soloing.